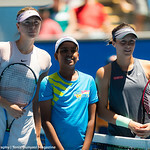 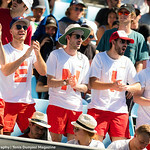 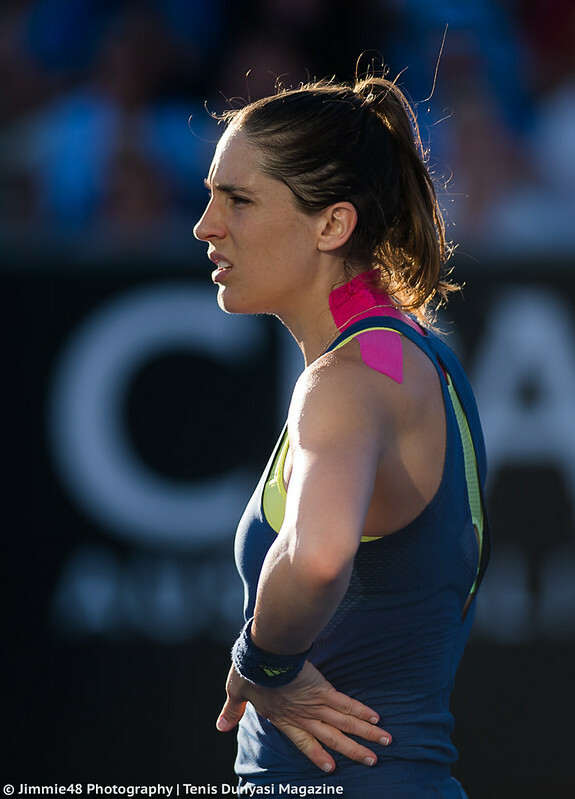 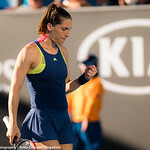 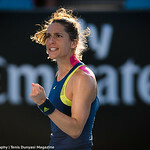 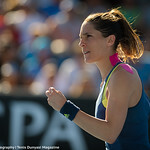 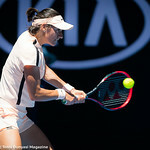 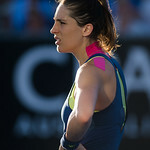 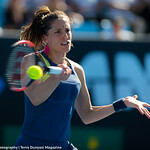 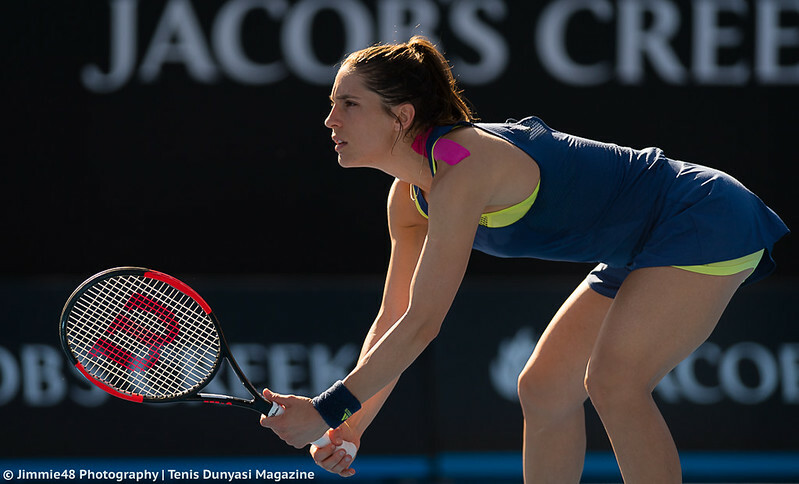 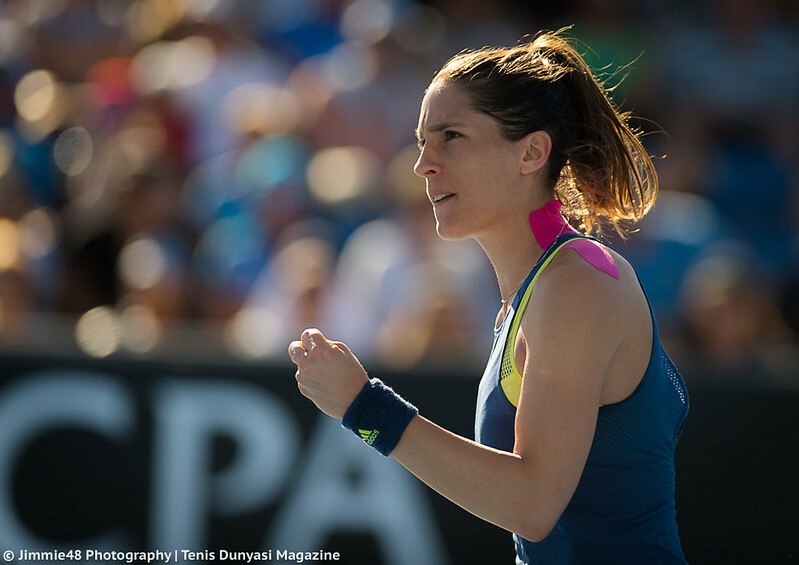 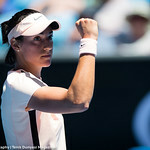 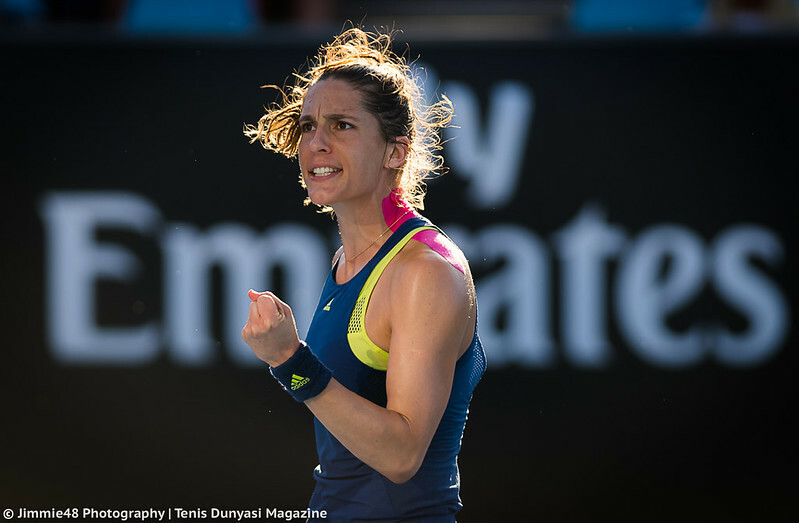 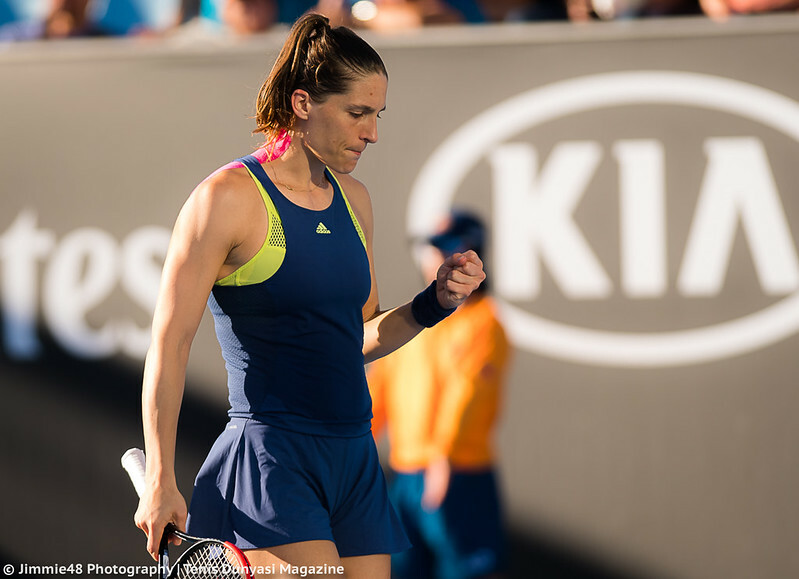 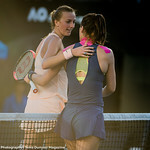 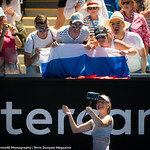 The most exciting match in Tuesday’s first-round action at the Australian Open was definitely Andrea Petkovic‘s 6-3 4-6 10-8 victory over Petra Kvitova, which ended with a lovely hug between the two fan favorites, and our photographer Jimmie48 was right there to capture all the thrilling moments of this epic match, including the heart-warming emotions at the net. 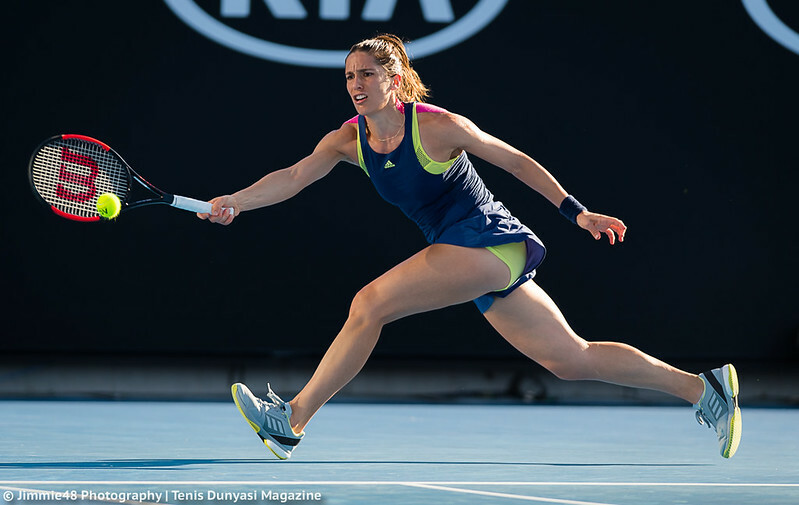 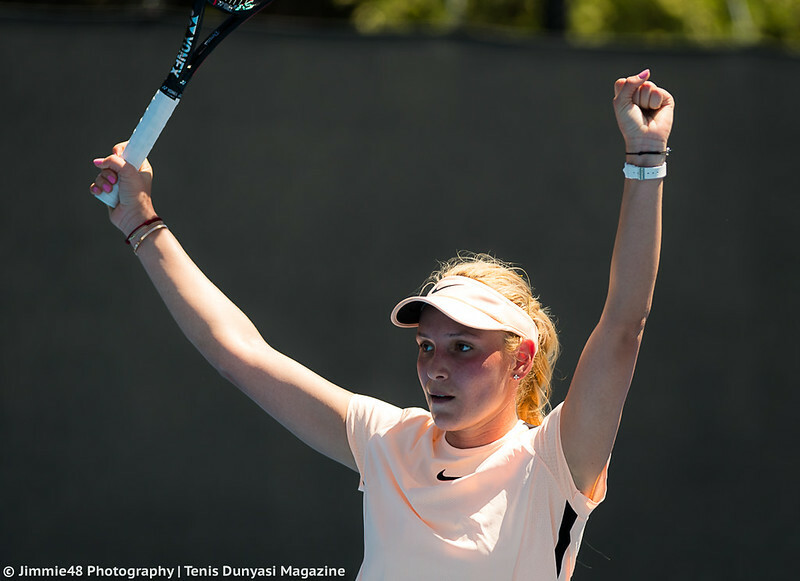 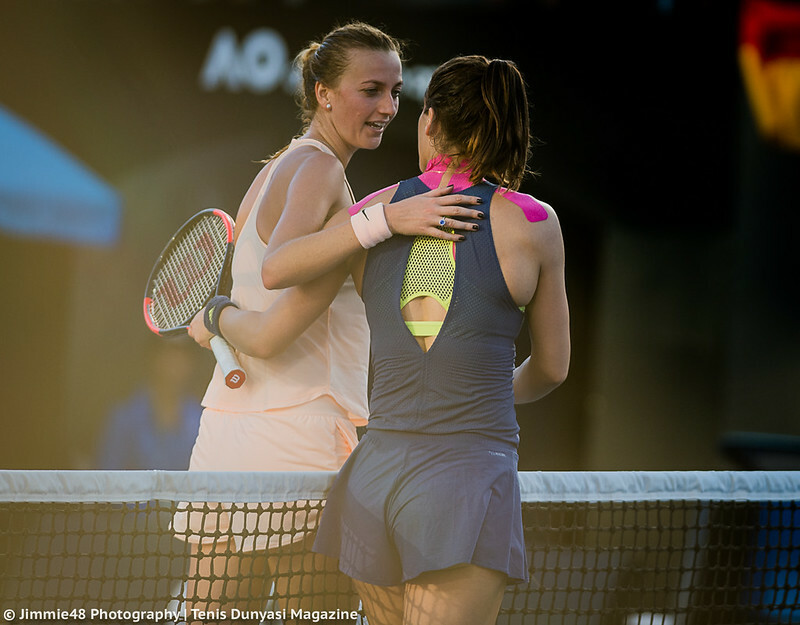 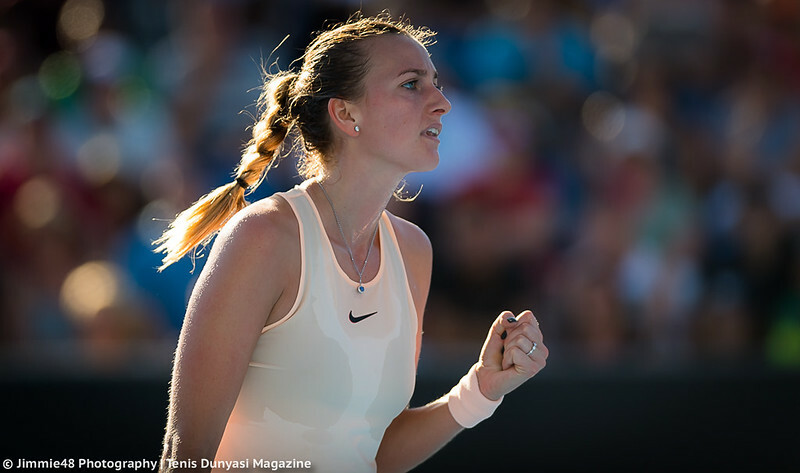 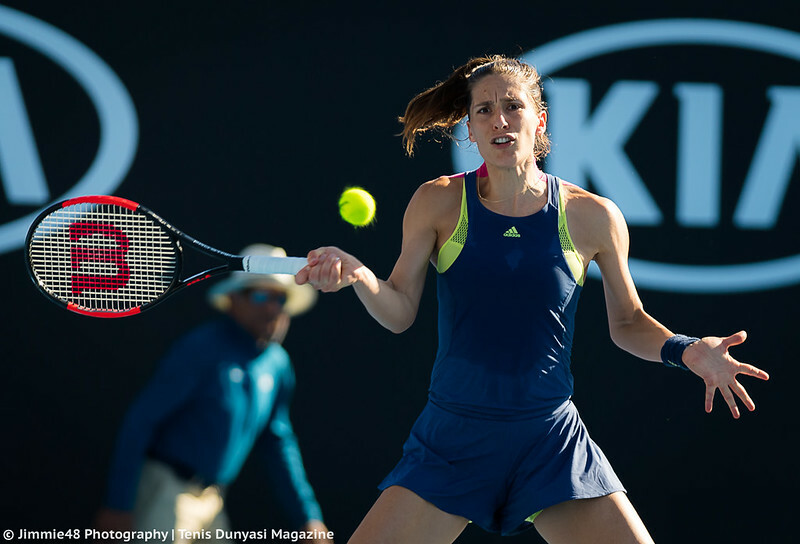 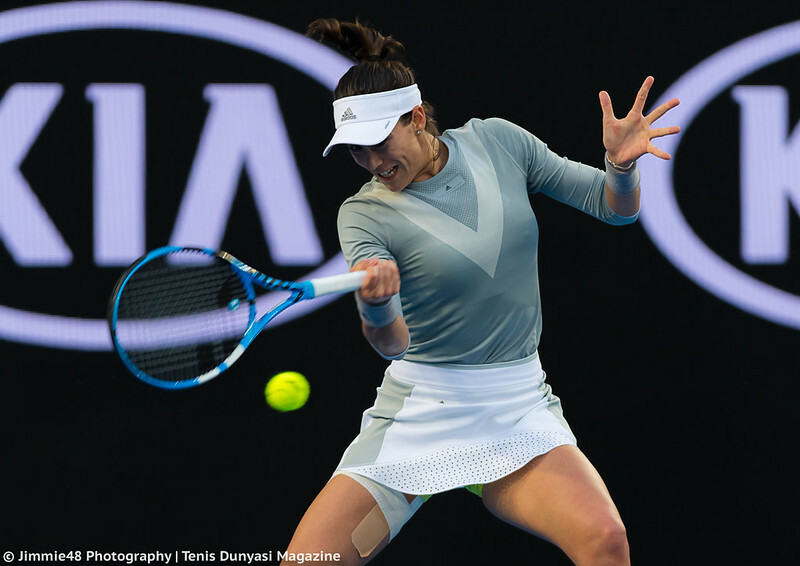 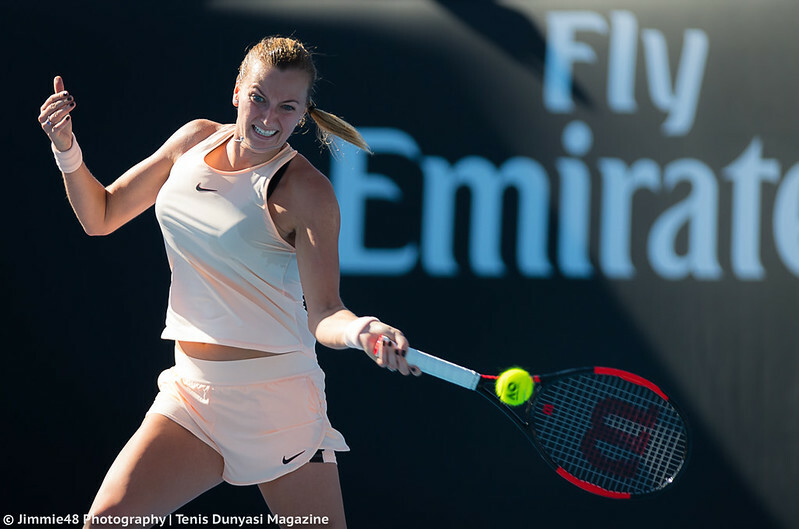 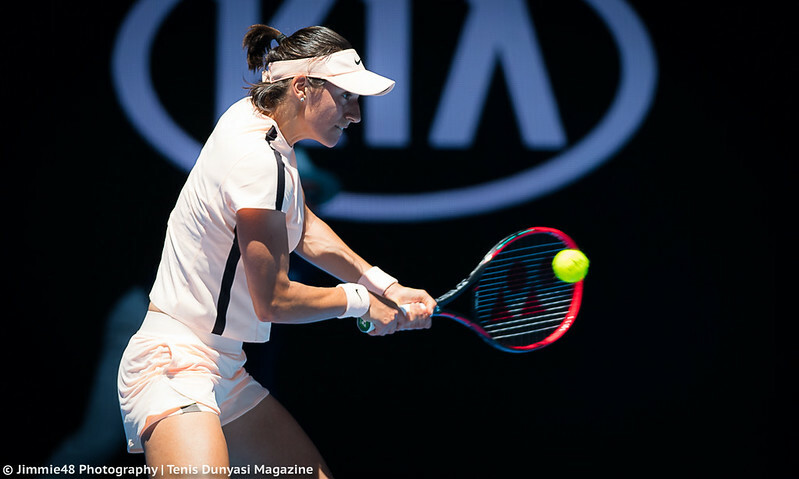 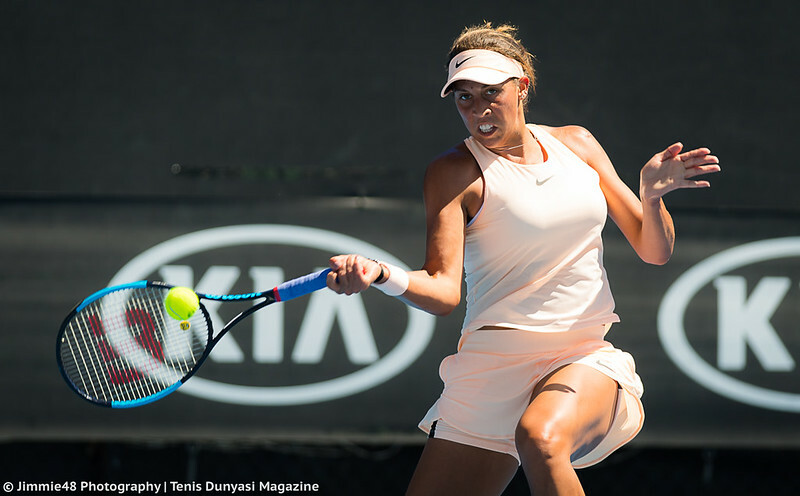 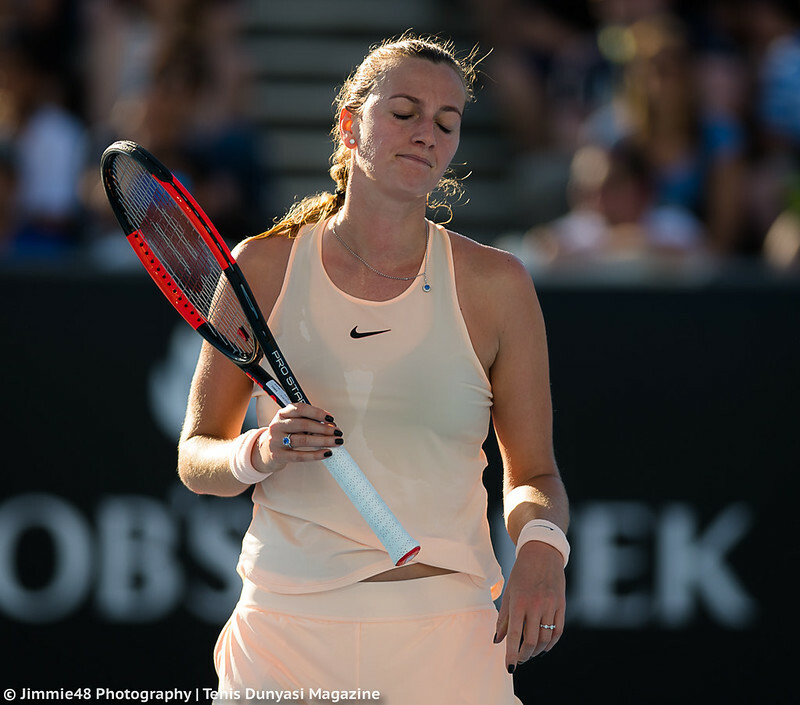 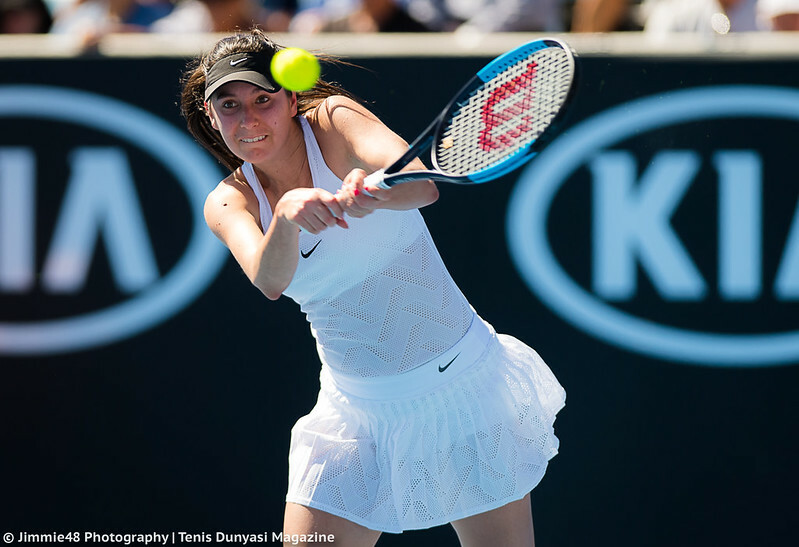 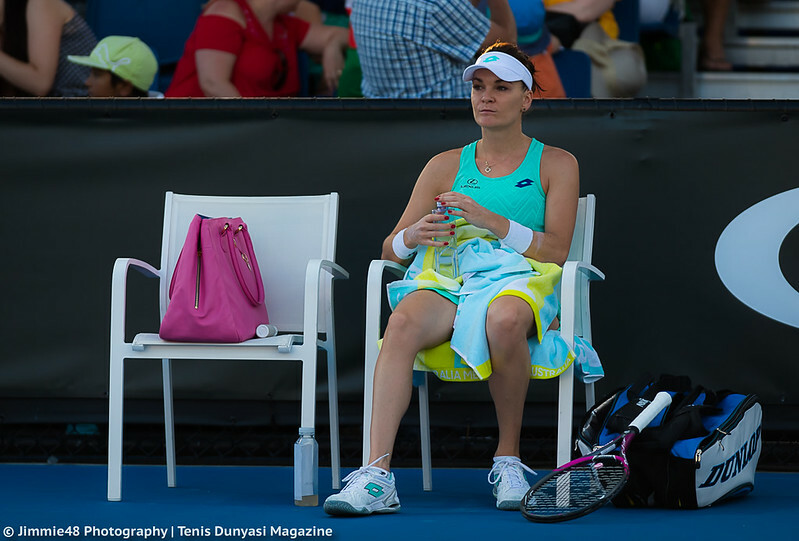 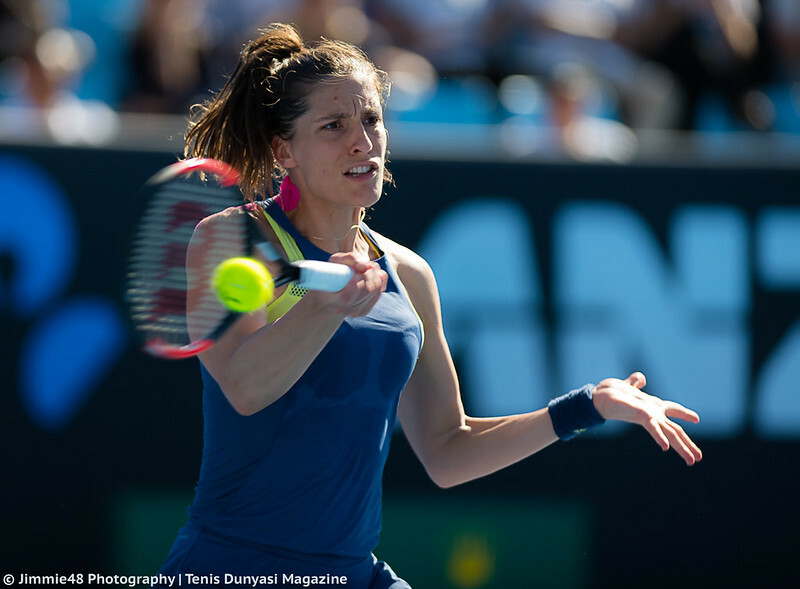 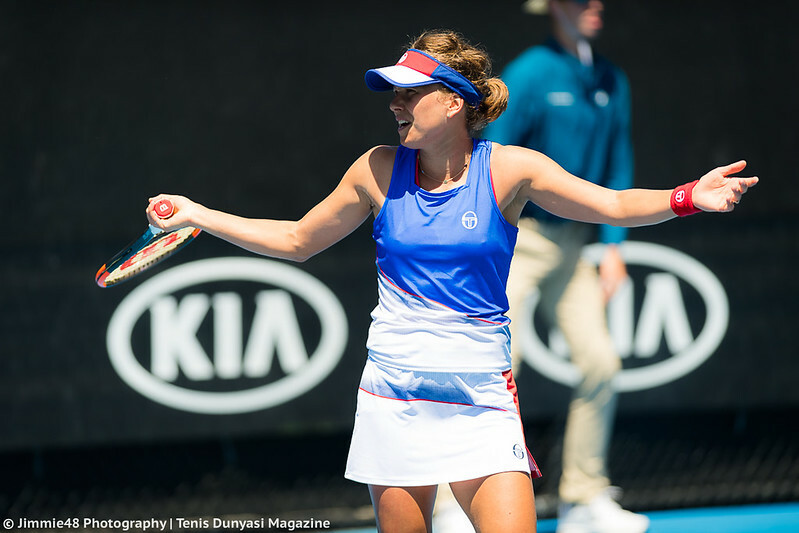 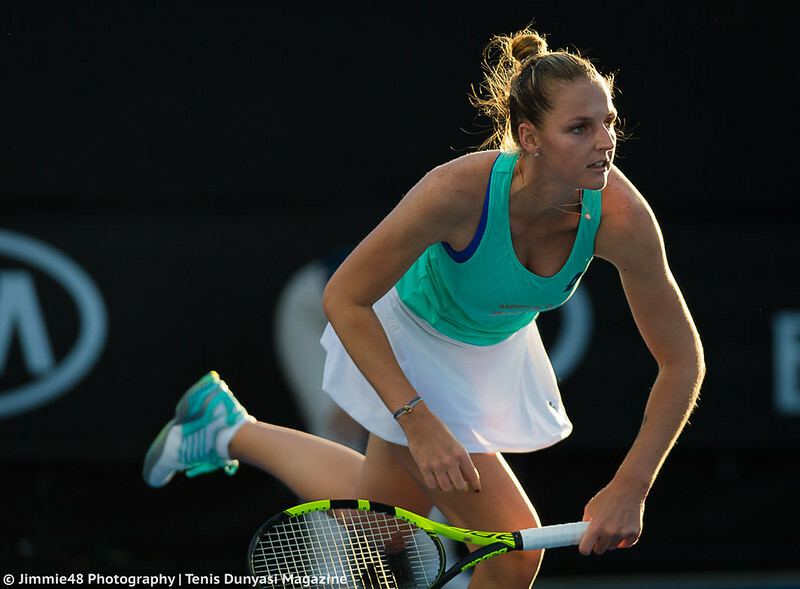 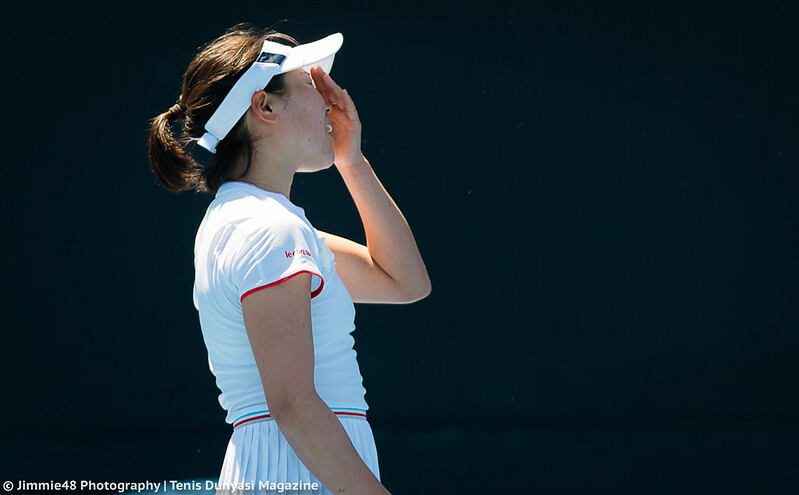 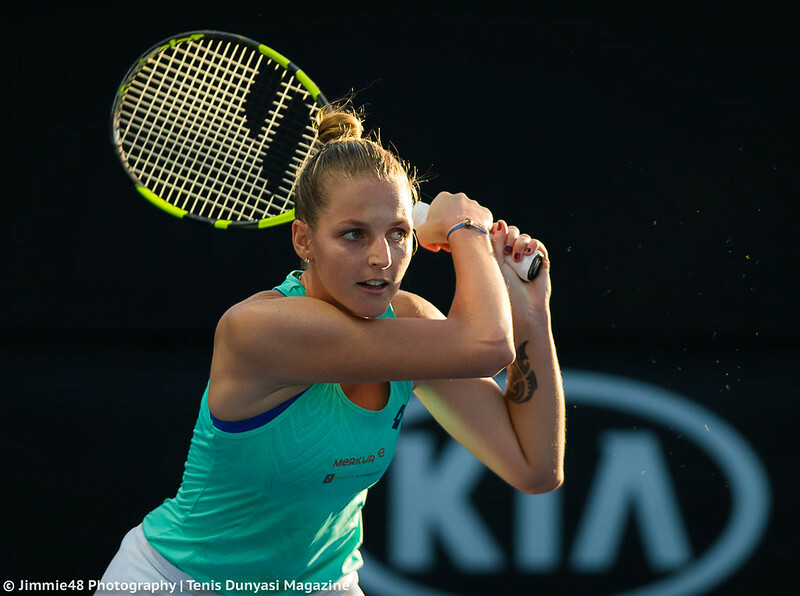 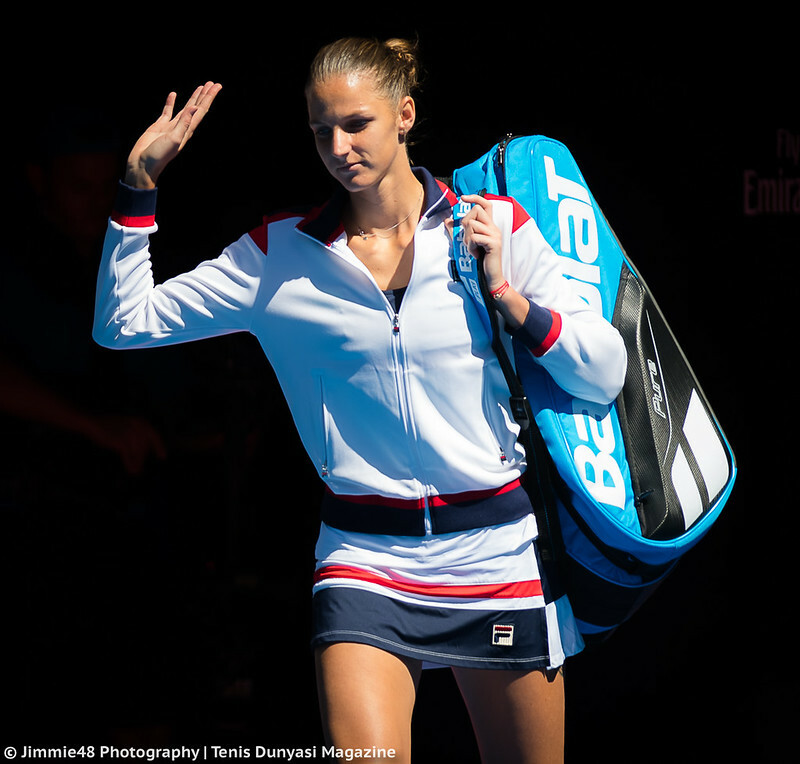 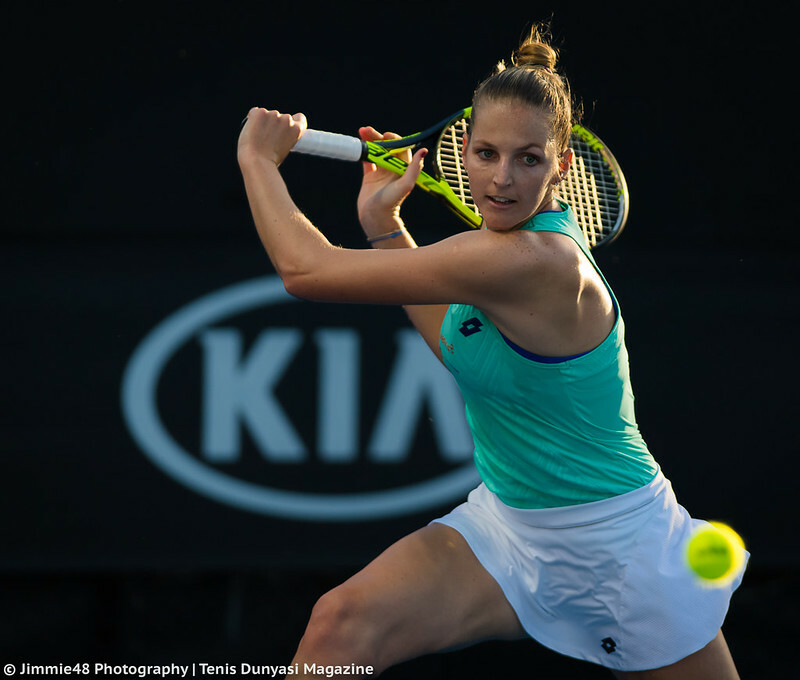 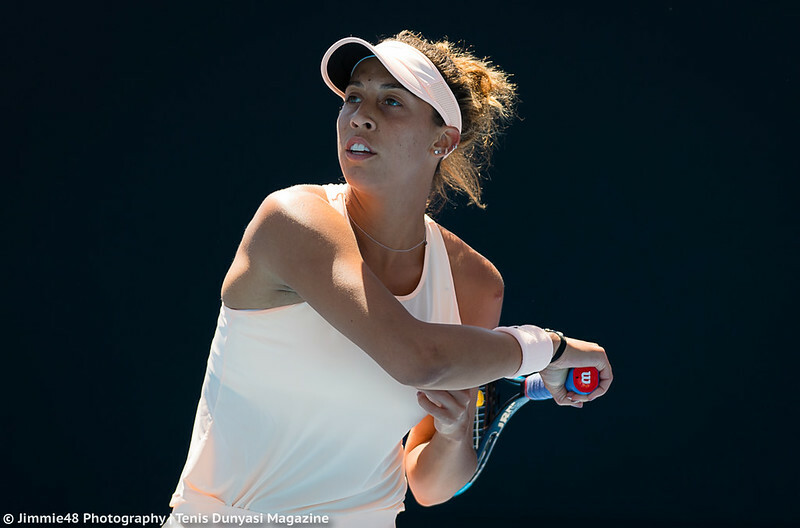 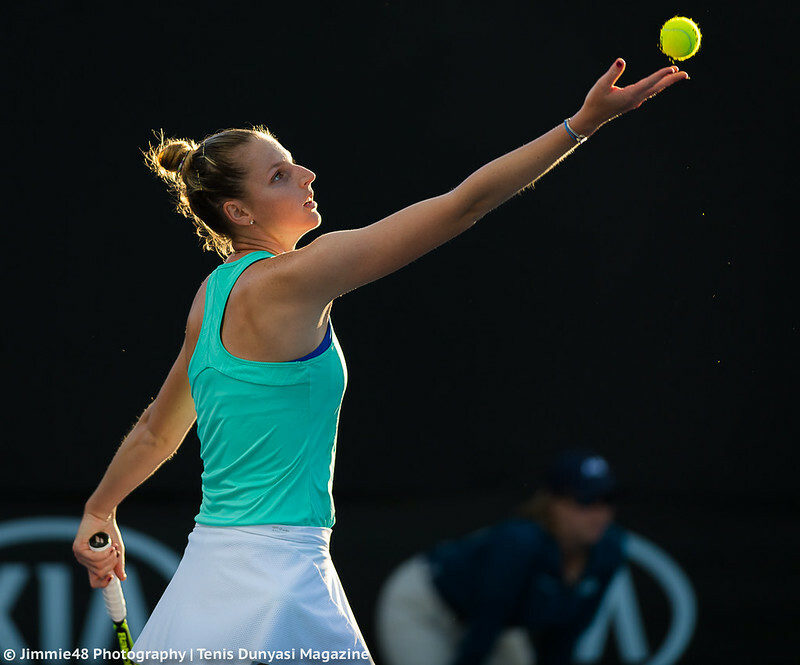 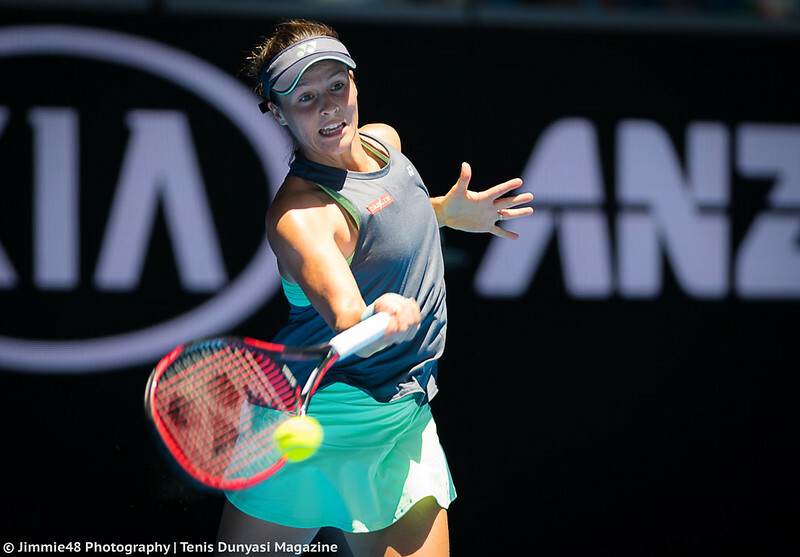 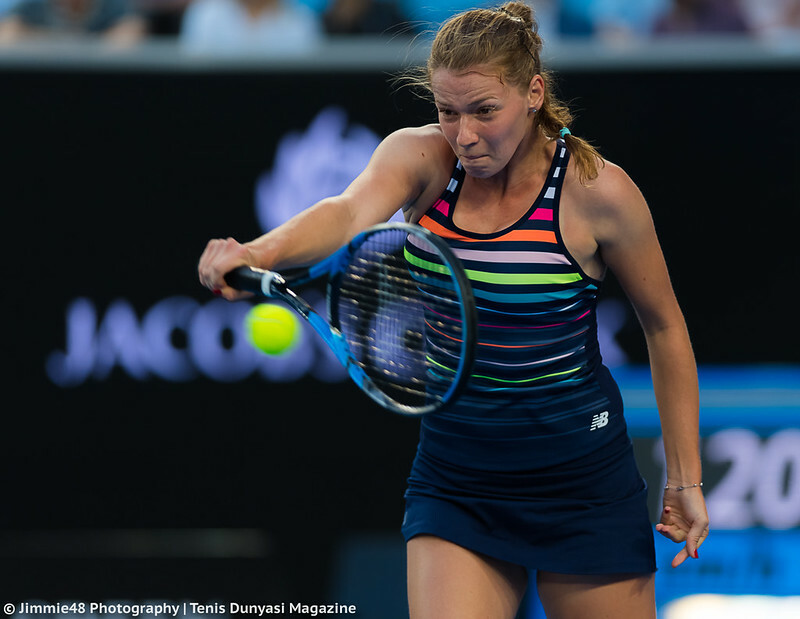 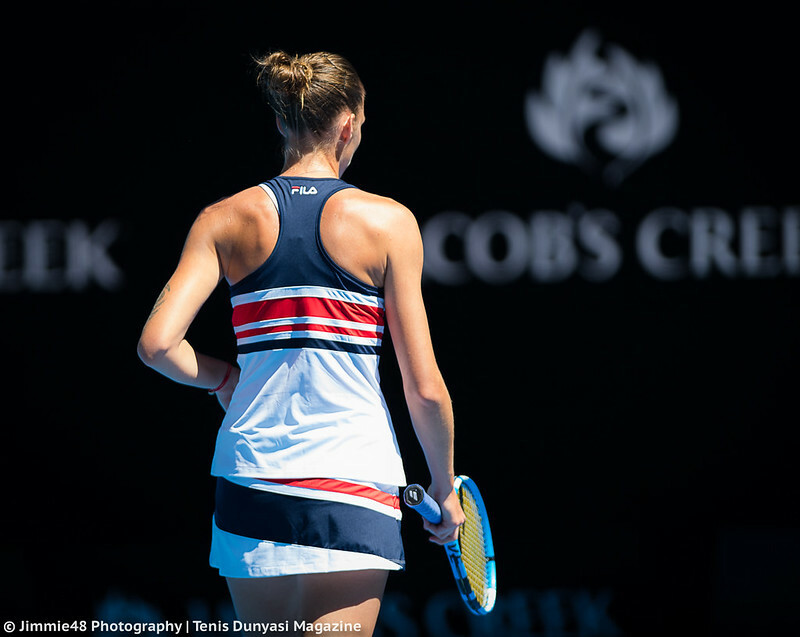 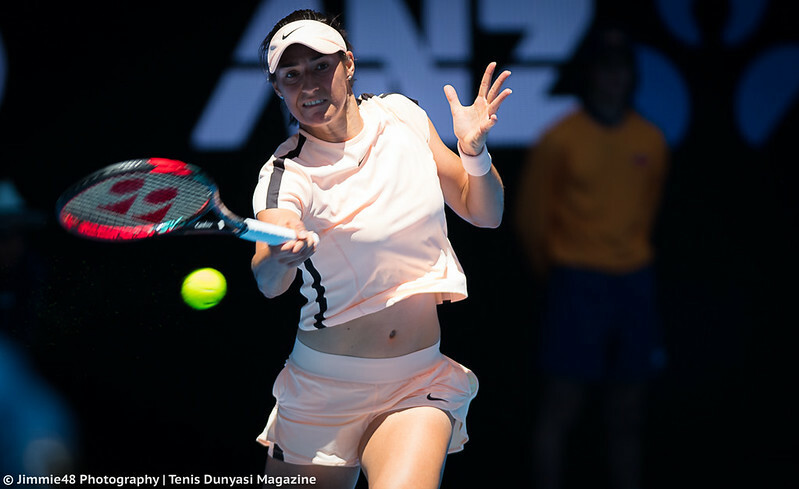 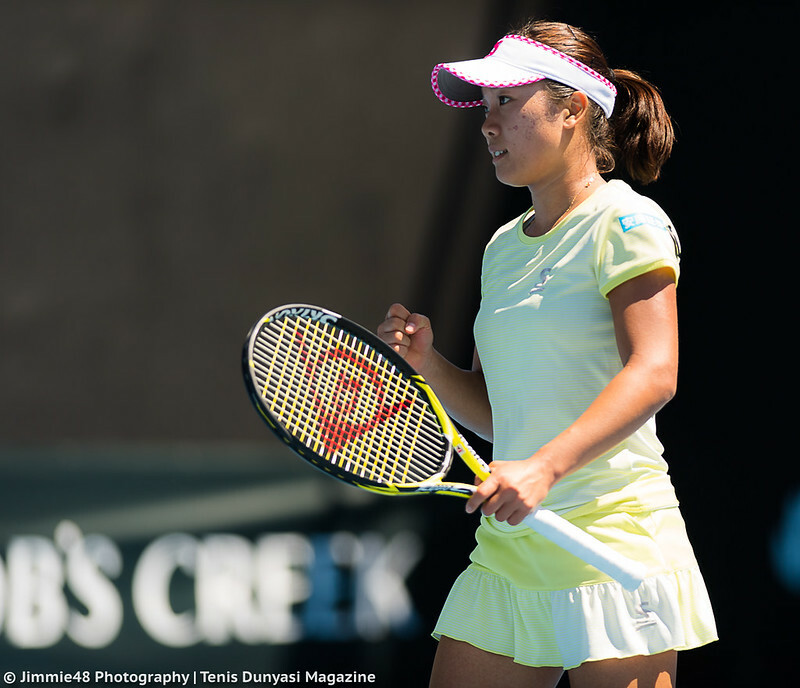 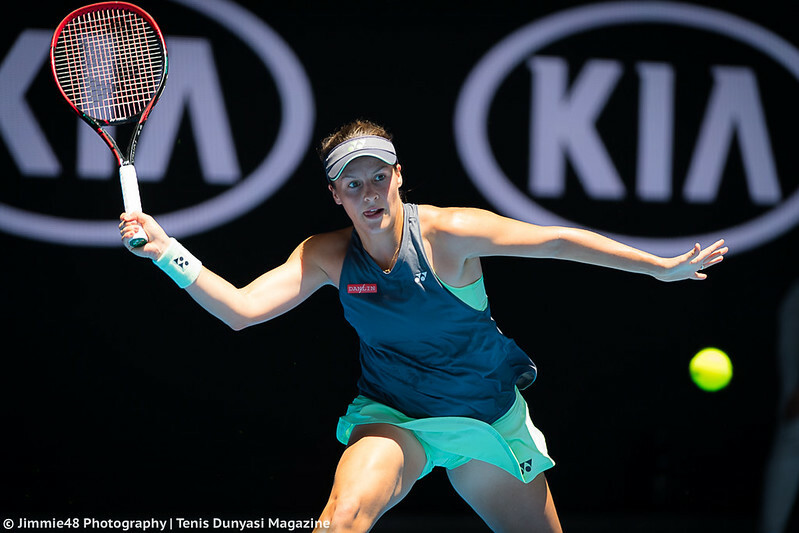 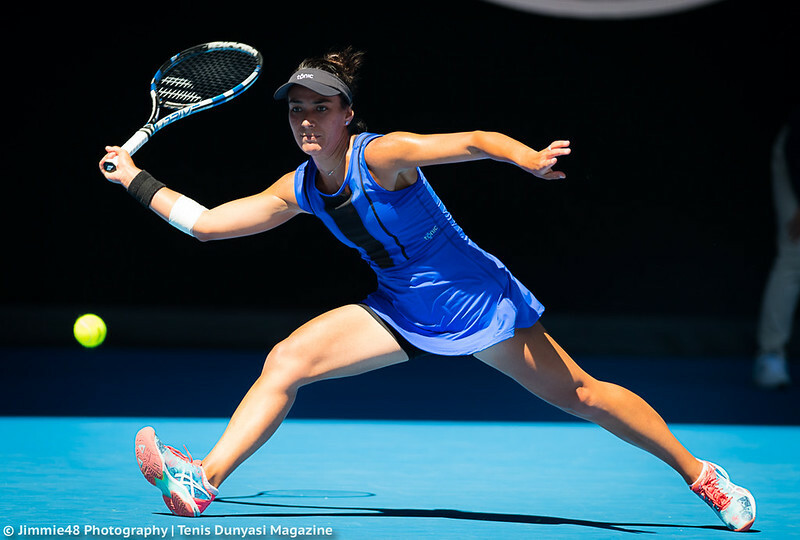 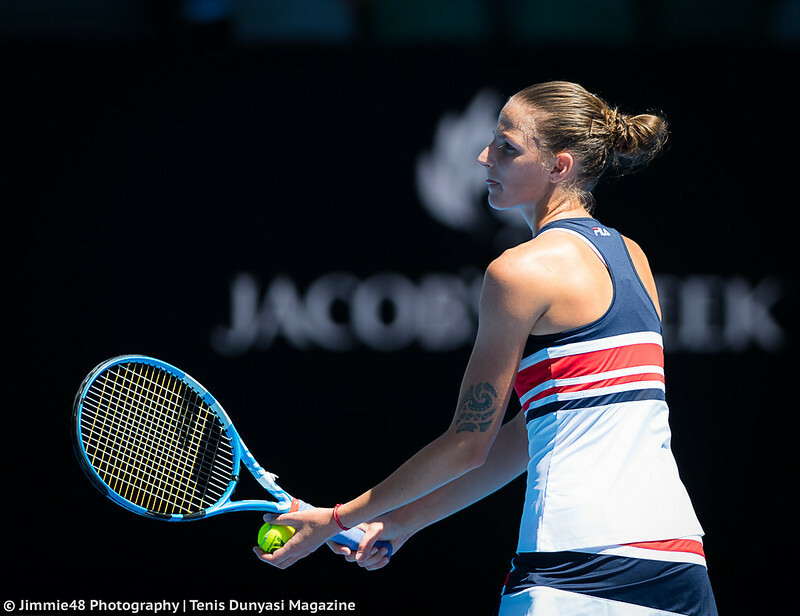 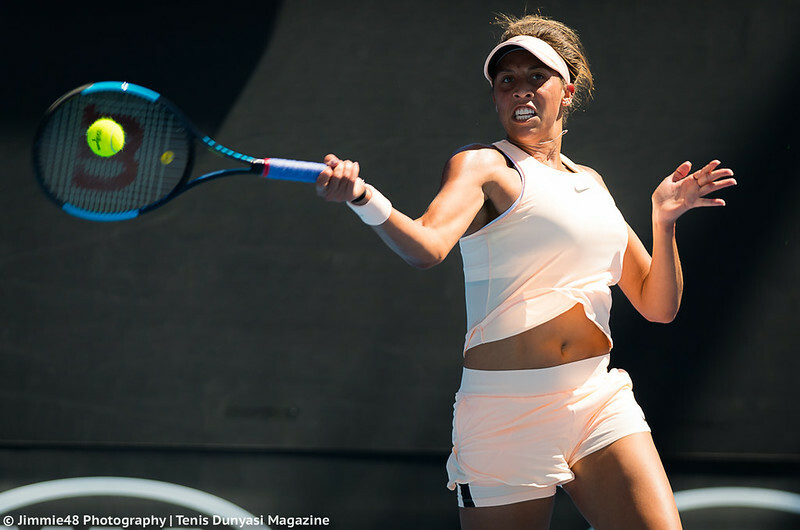 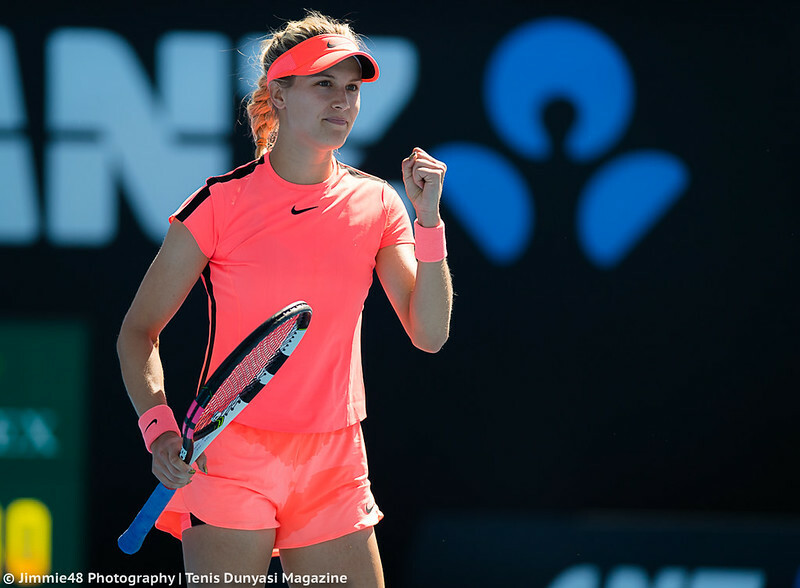 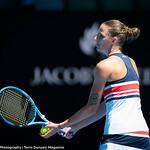 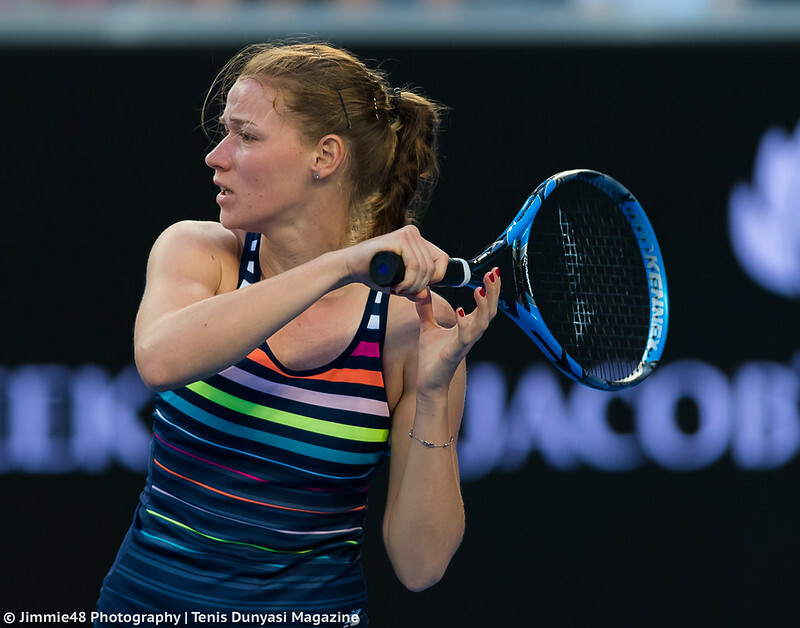 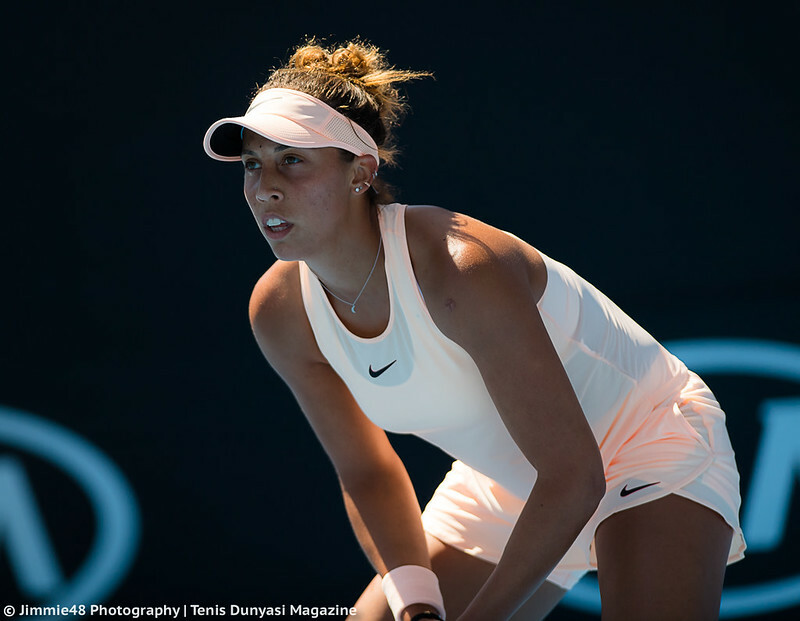 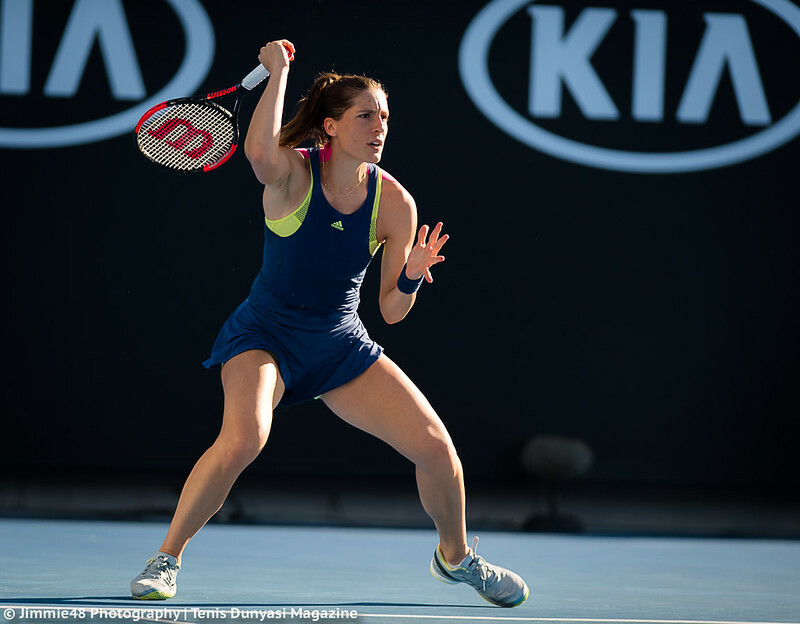 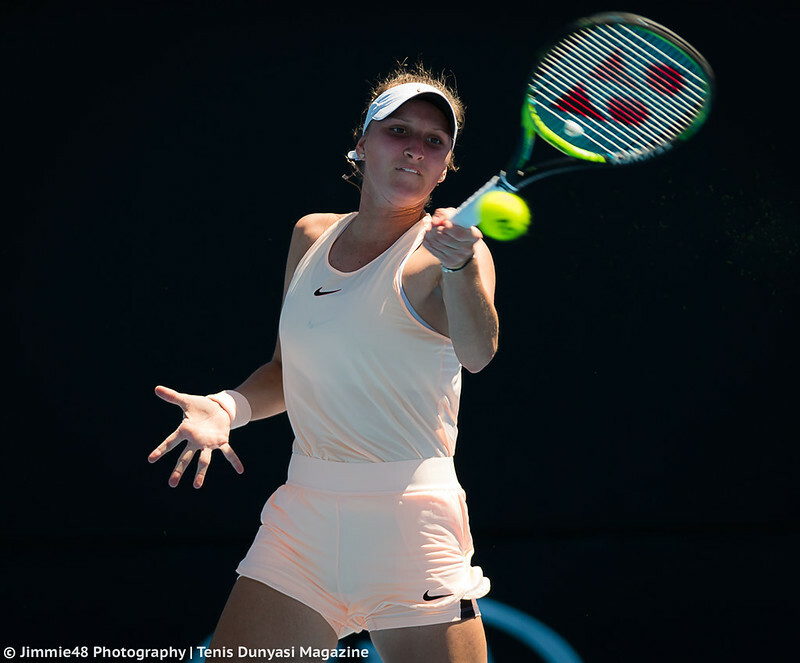 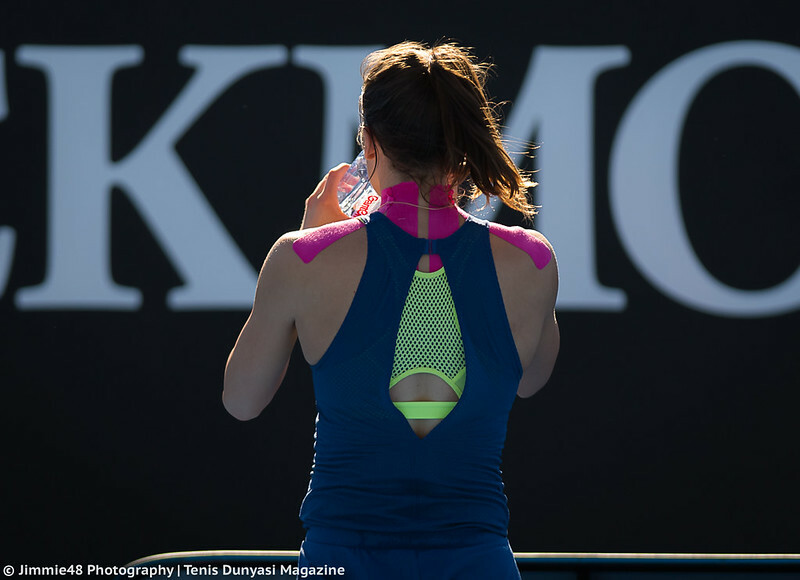 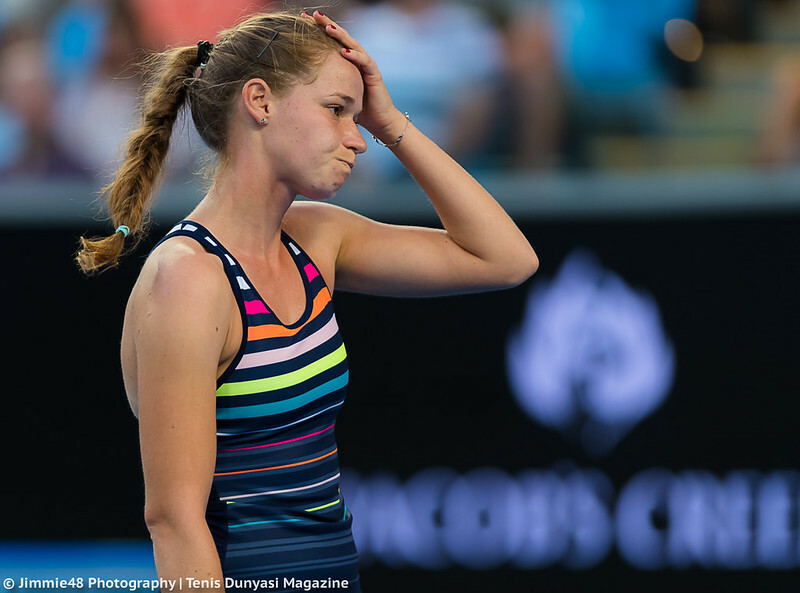 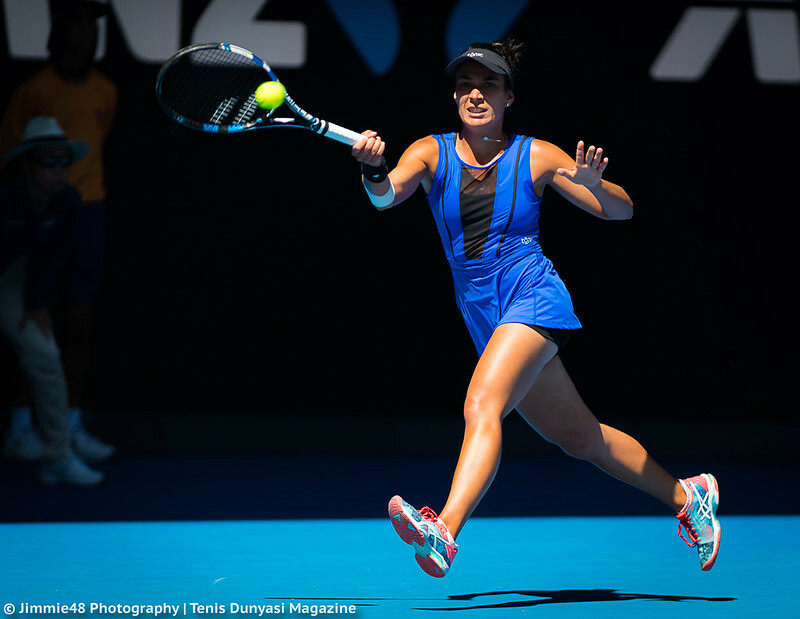 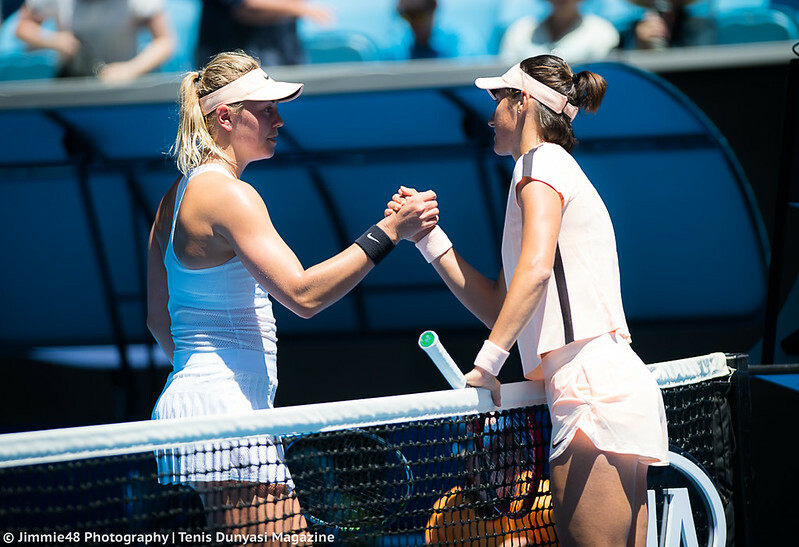 I’m glad that Petkovic’s victory will make us see more of Adidas’ first-ever jumpsuit, as its top promoter Kristina Mladenovic continued her free fall, losing her 15th straight match, this time to Ana Bogdan, who is now 3-1 against Top 20 players. 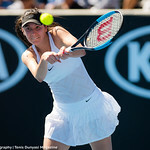 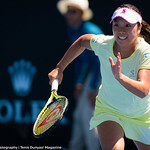 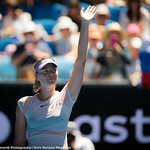 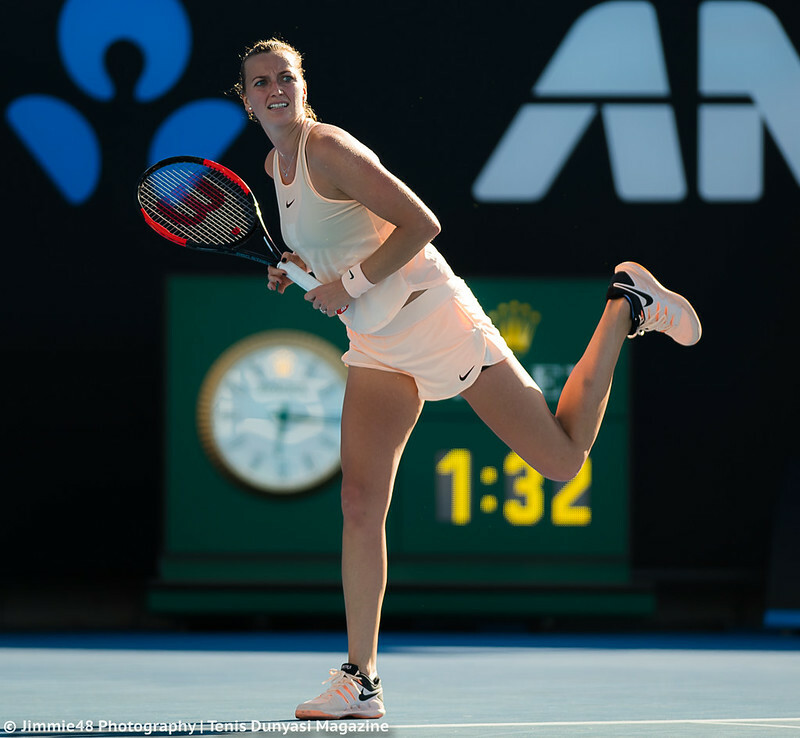 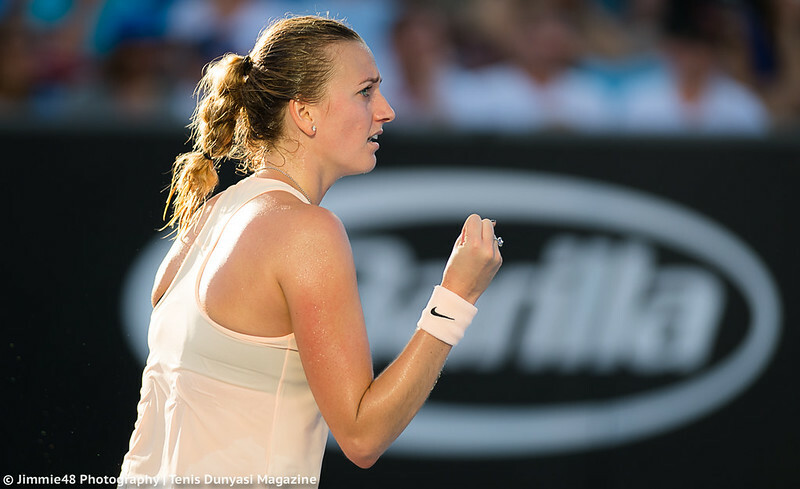 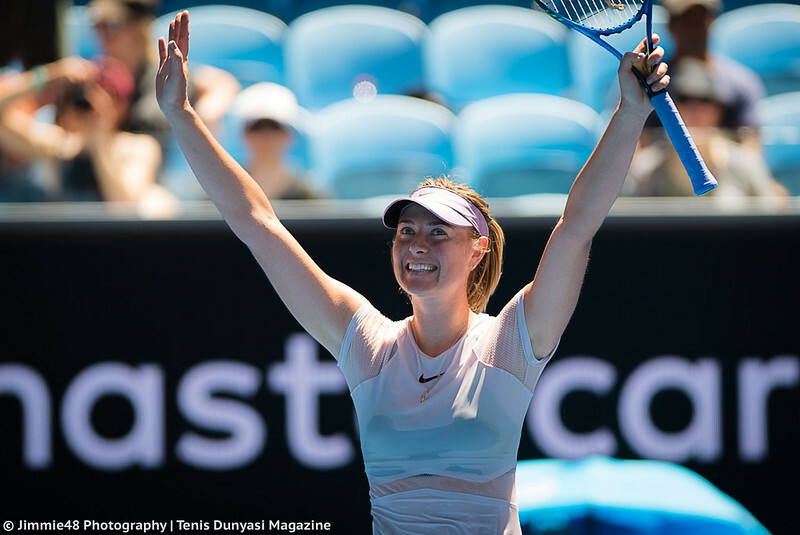 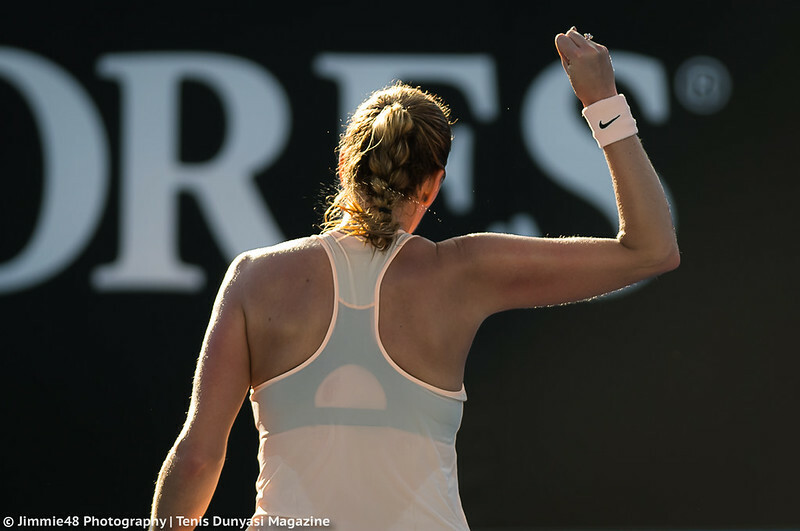 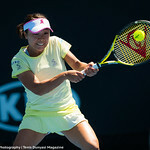 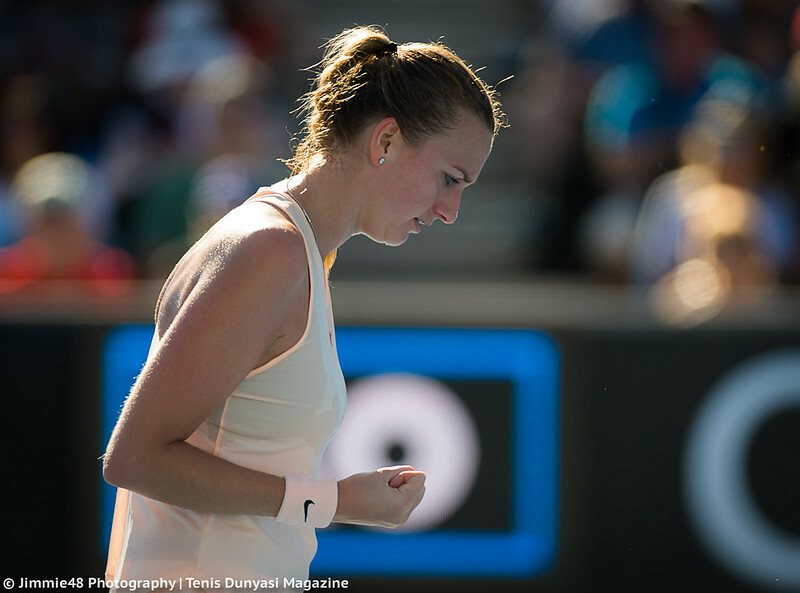 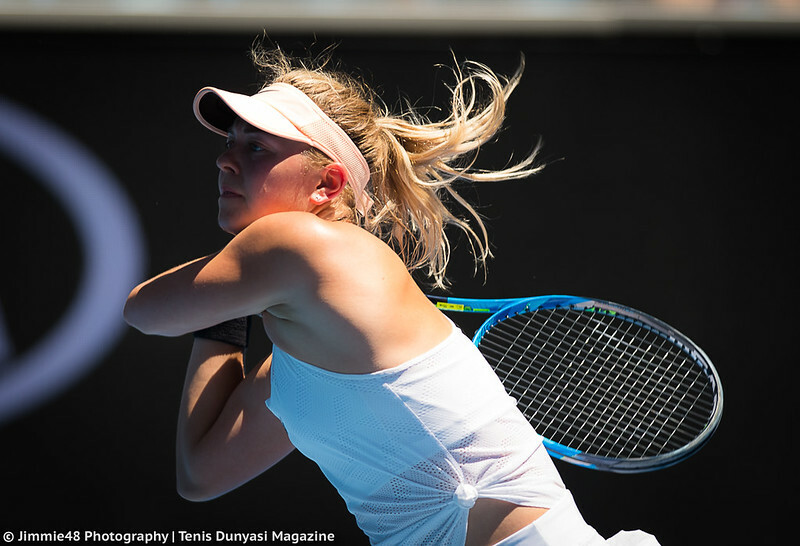 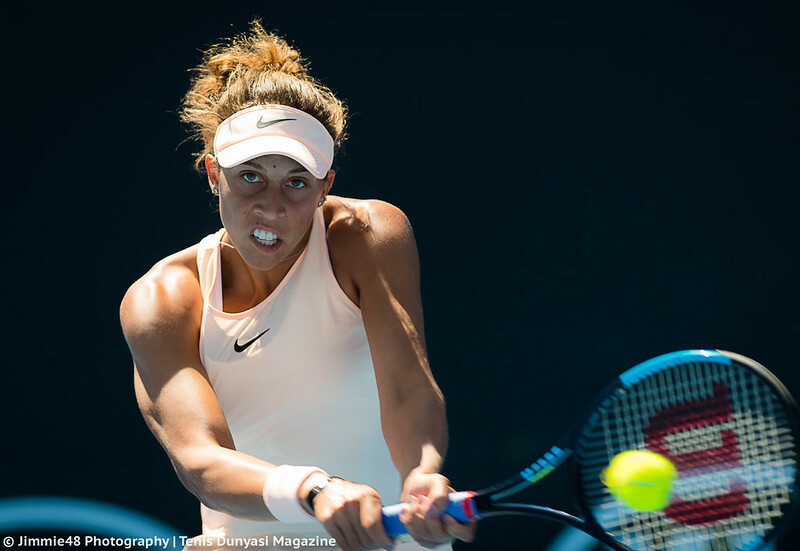 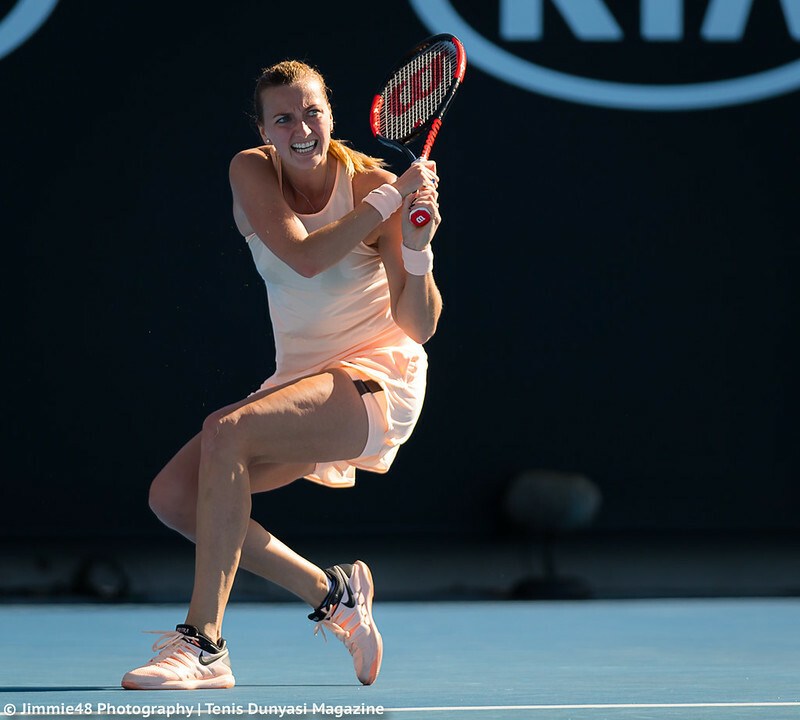 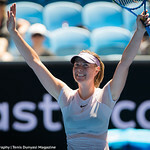 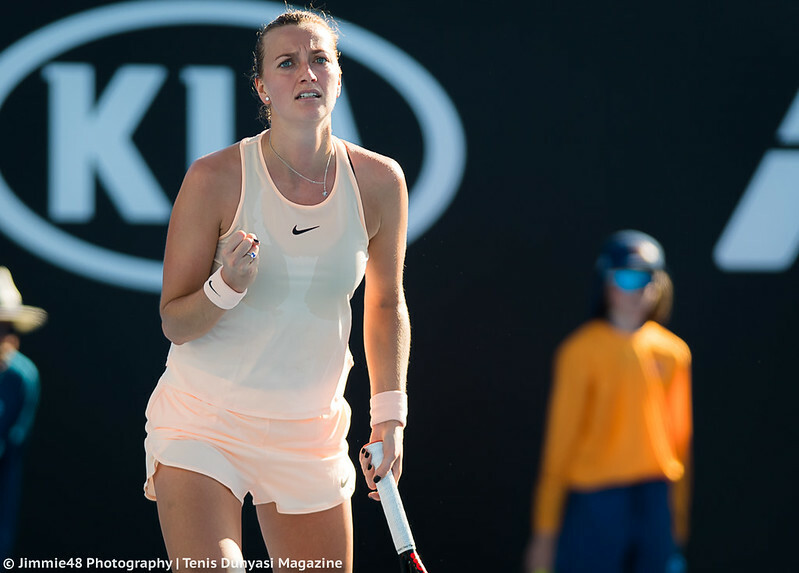 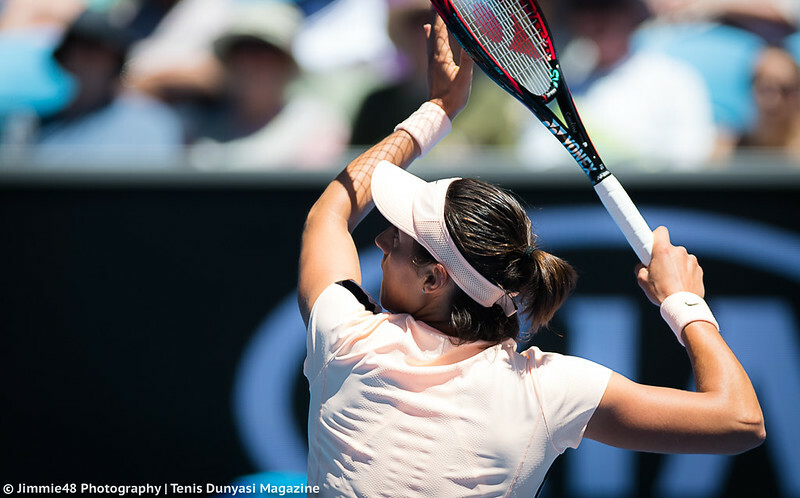 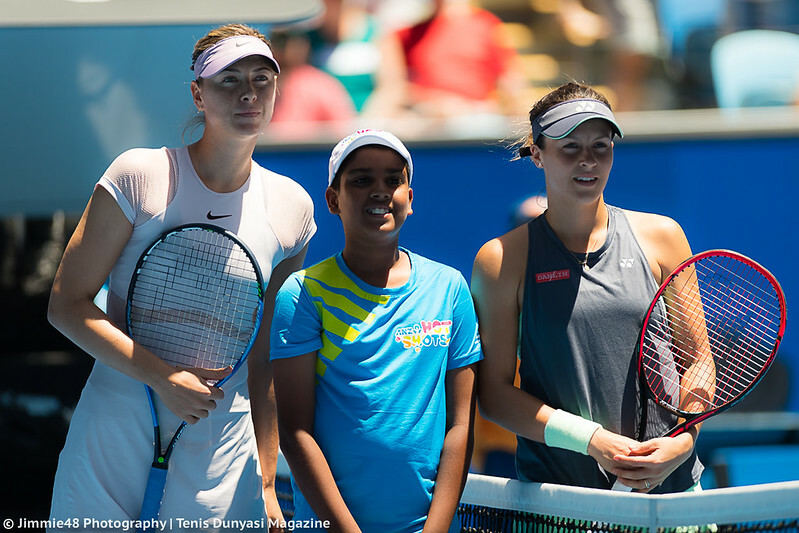 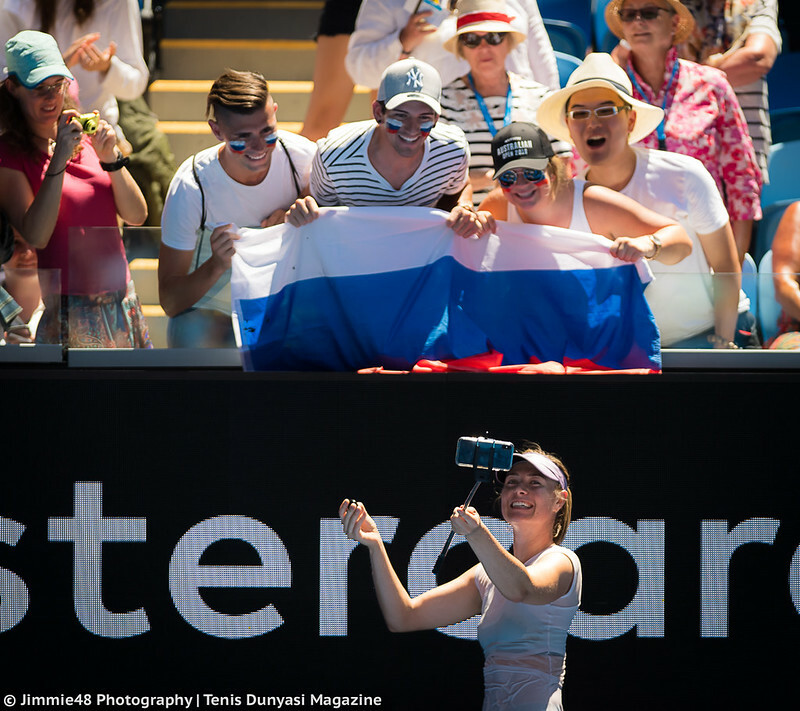 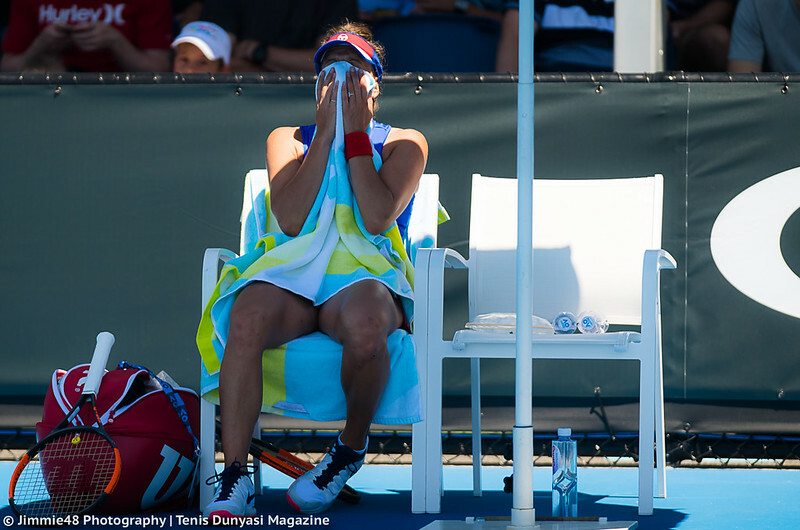 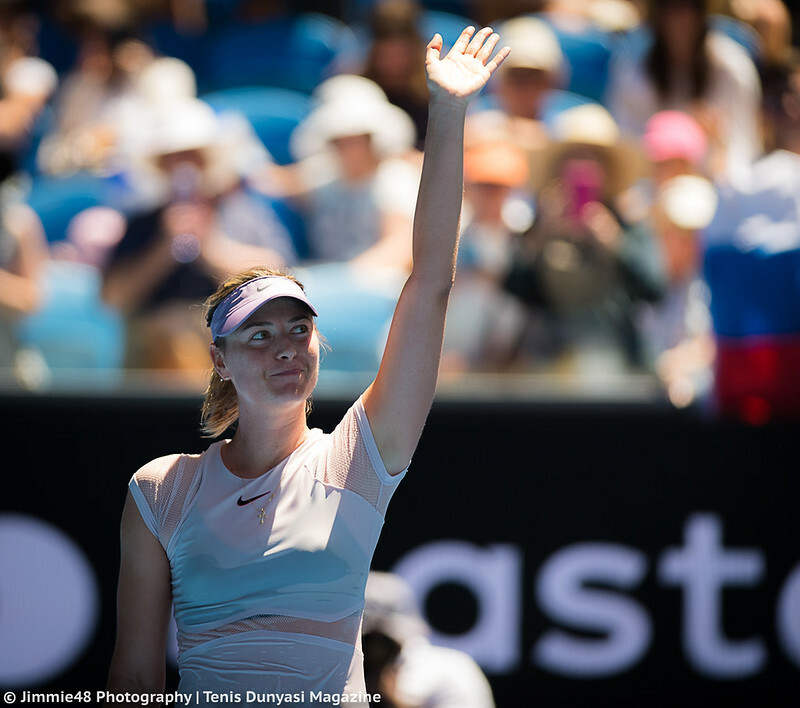 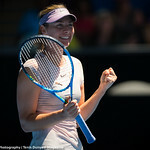 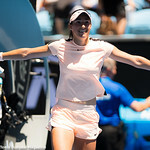 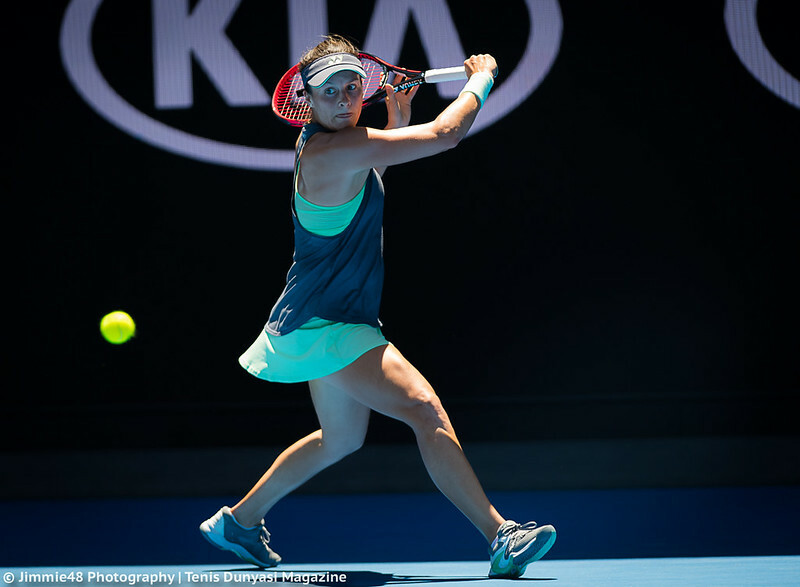 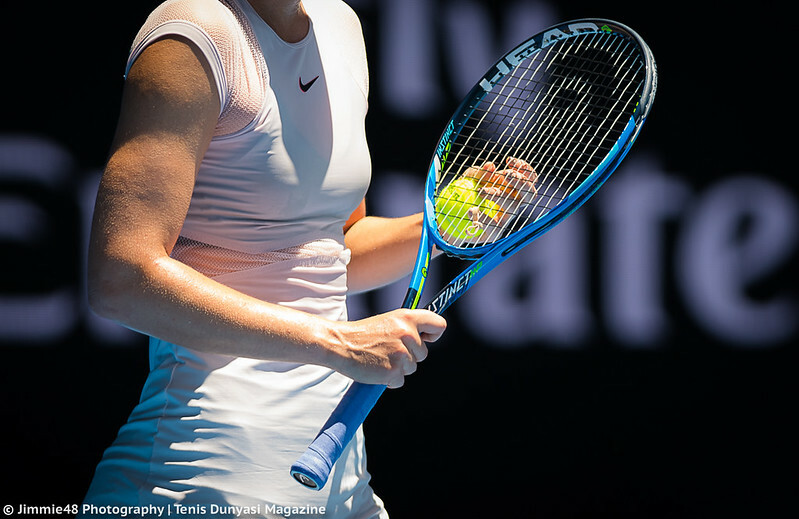 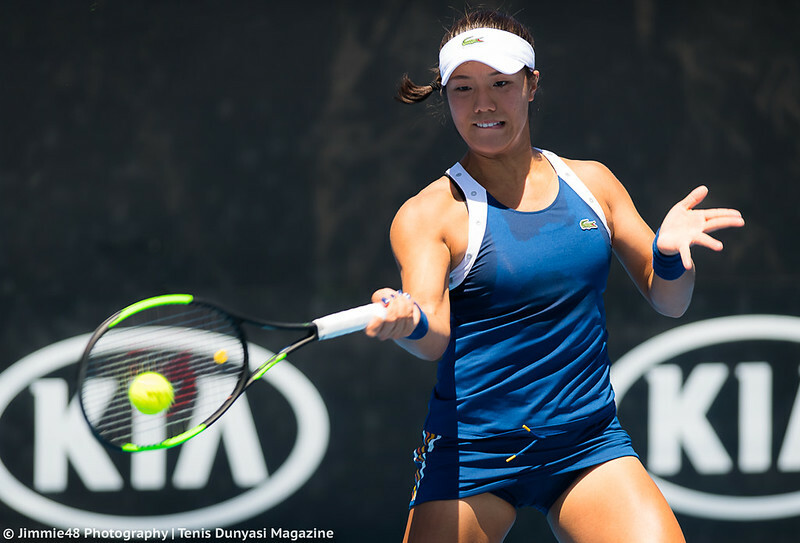 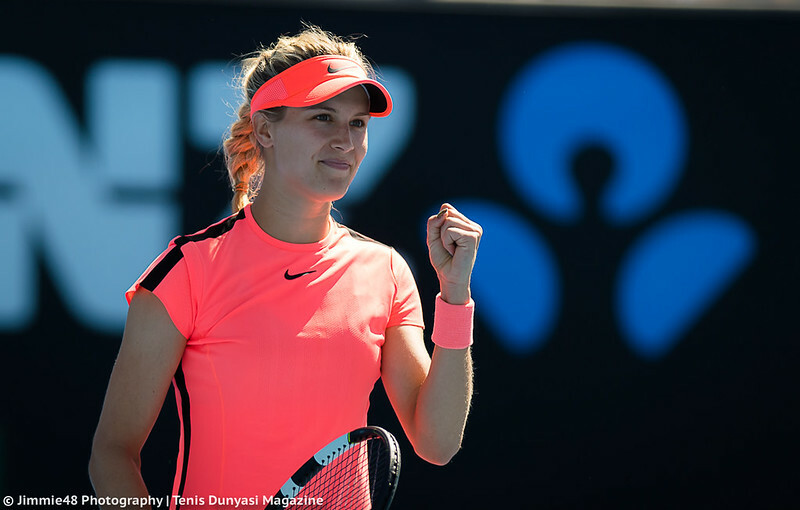 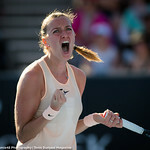 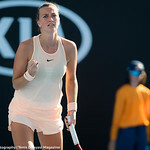 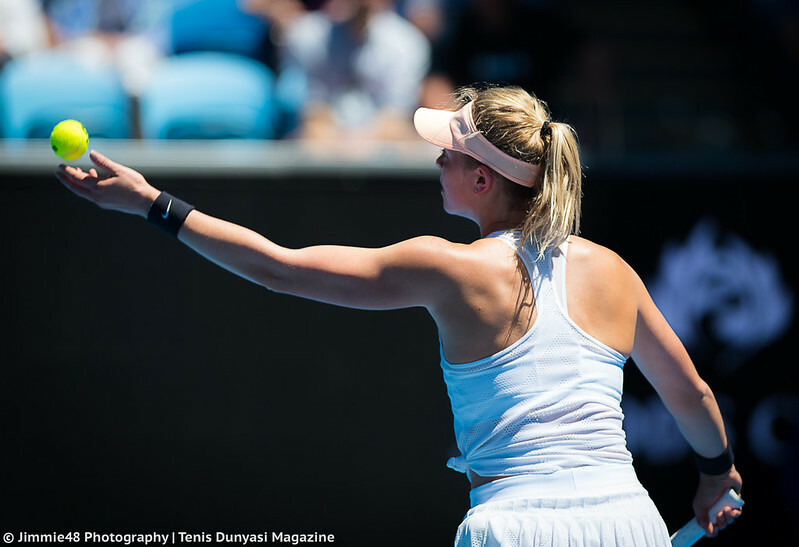 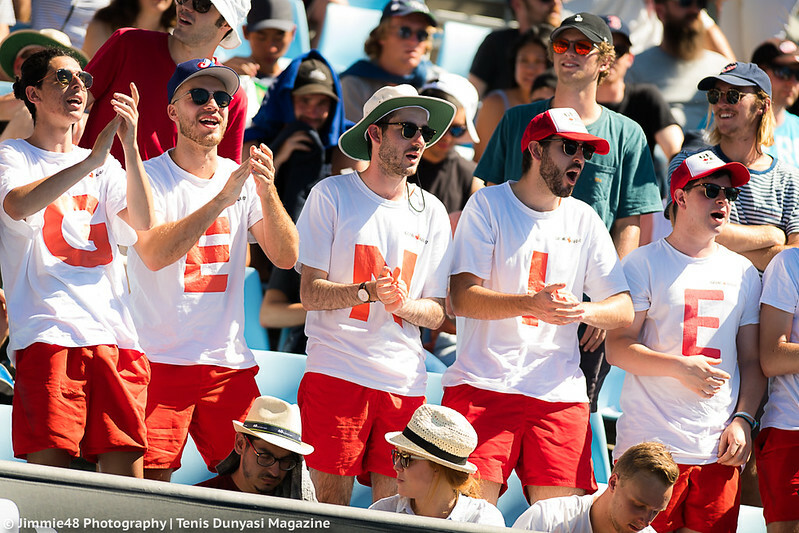 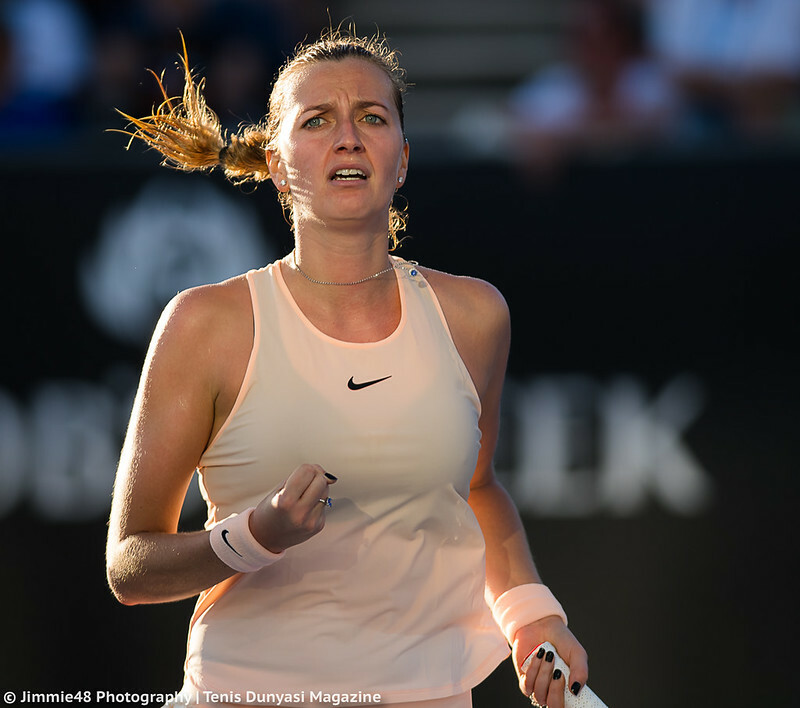 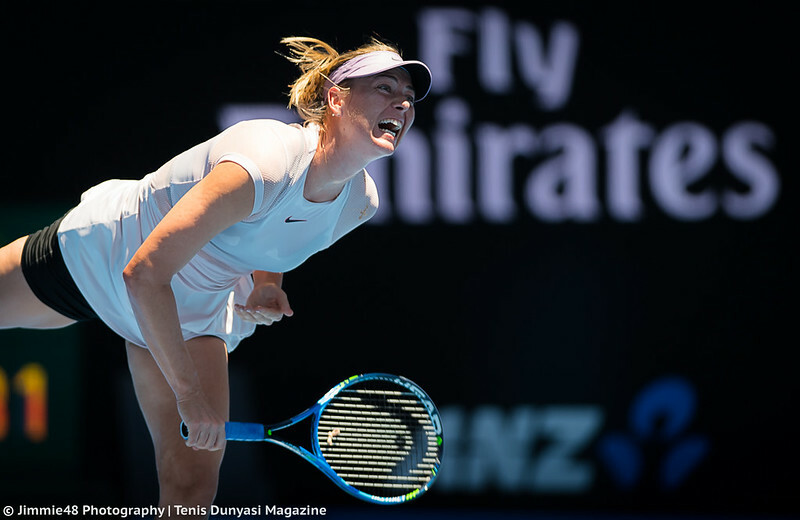 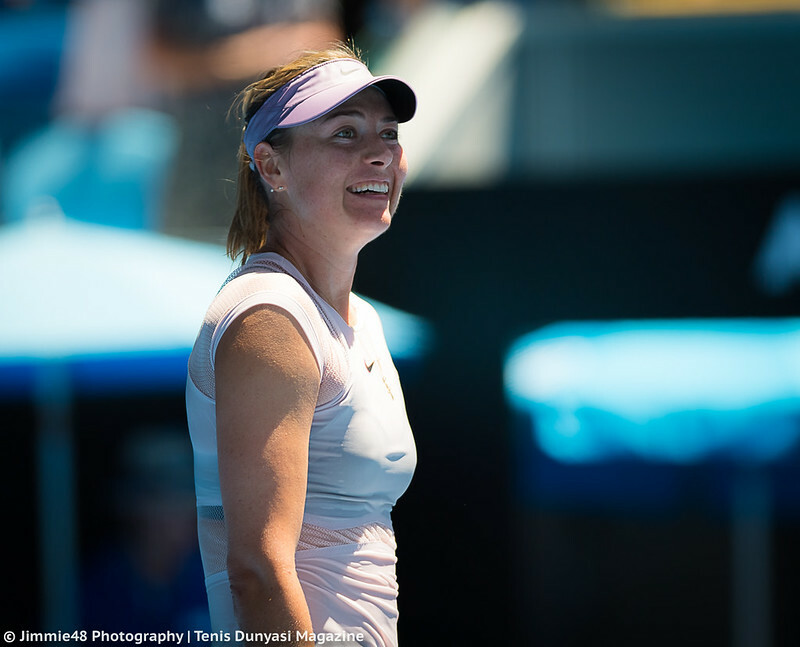 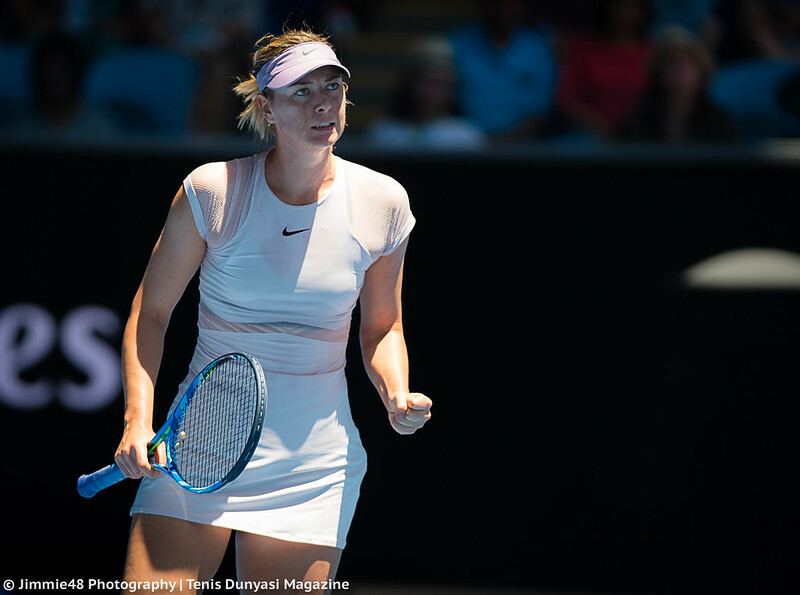 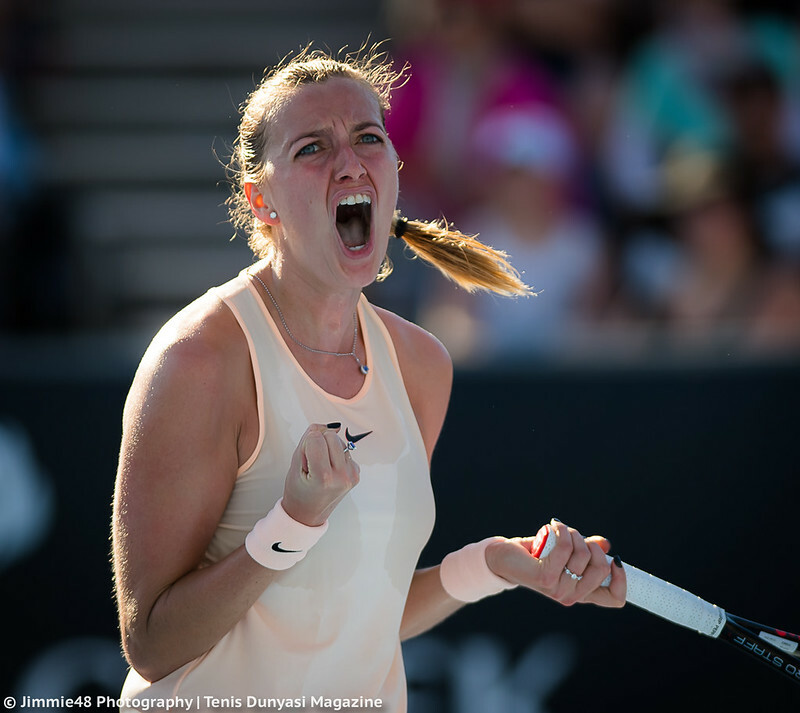 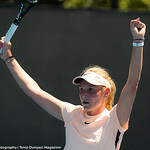 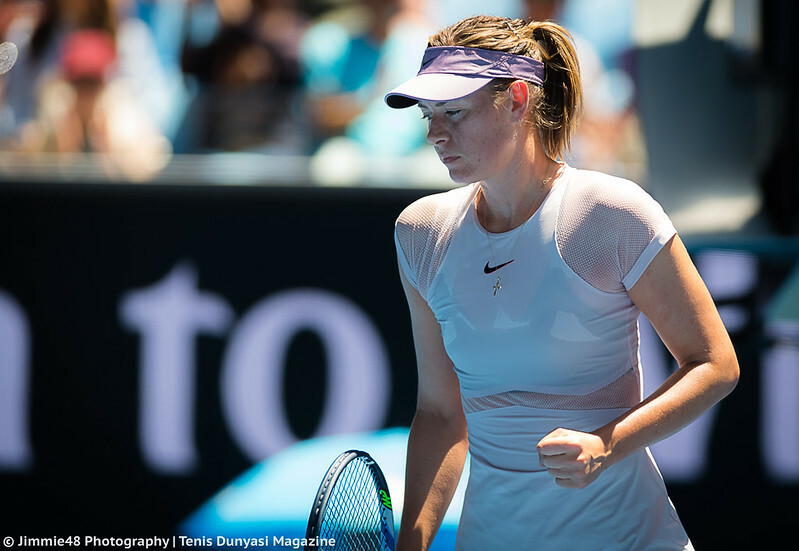 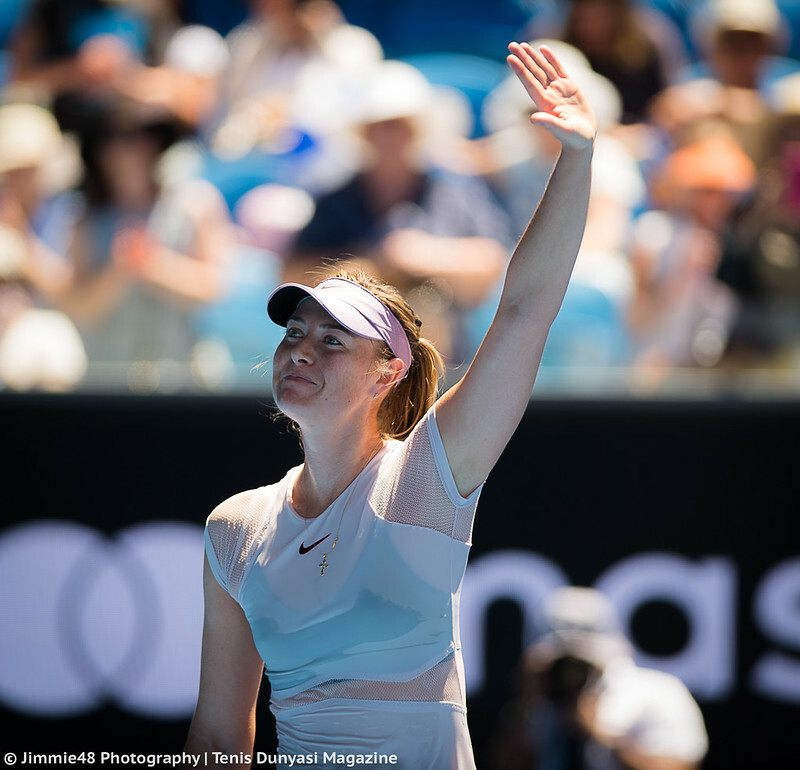 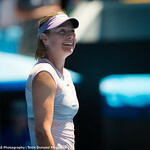 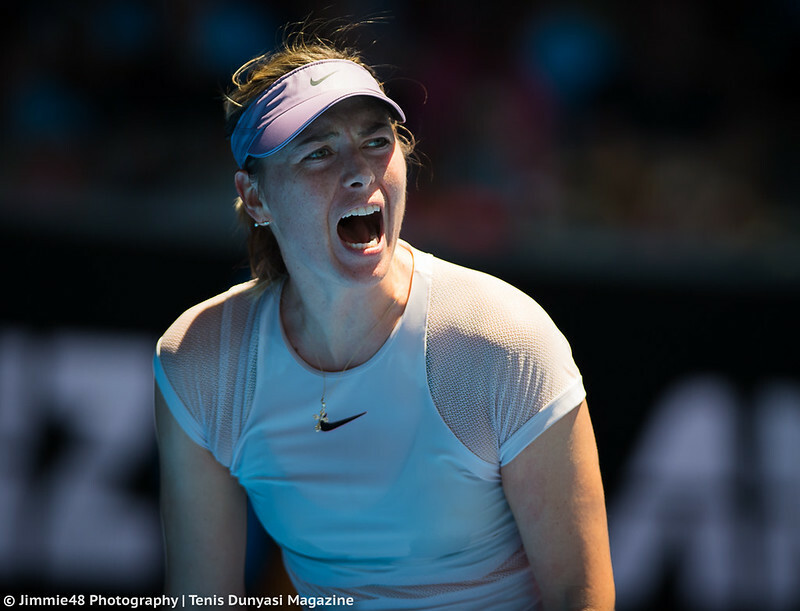 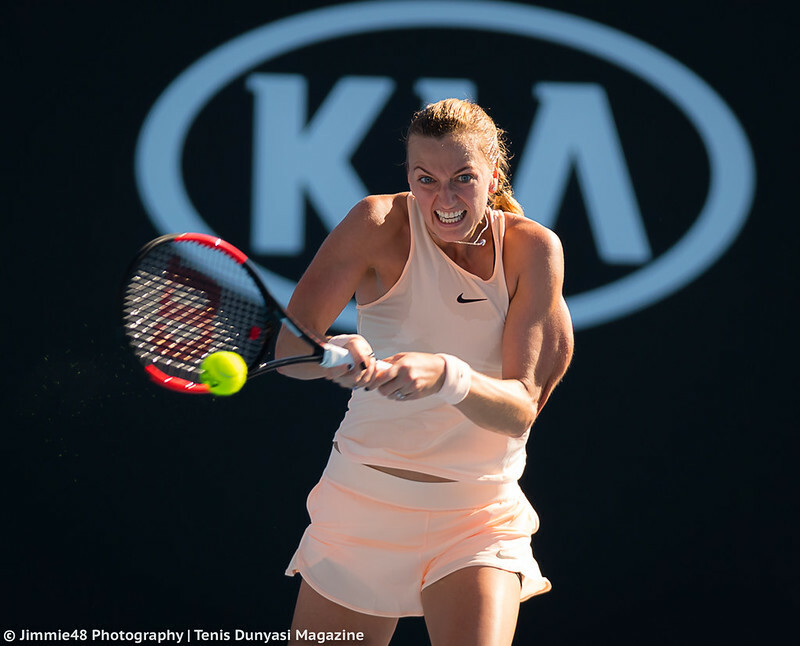 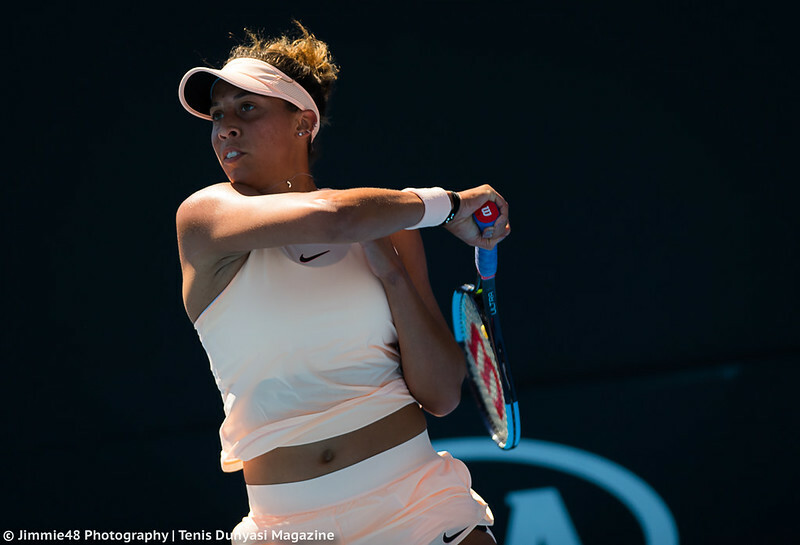 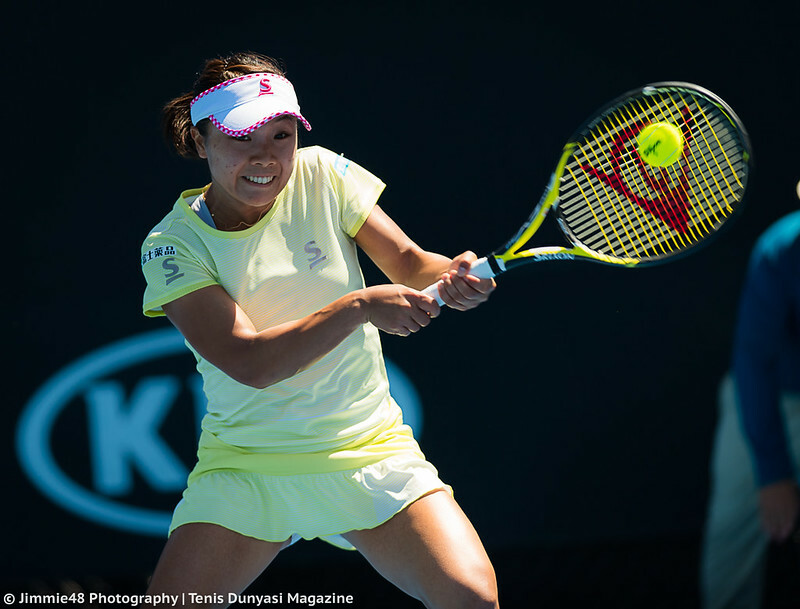 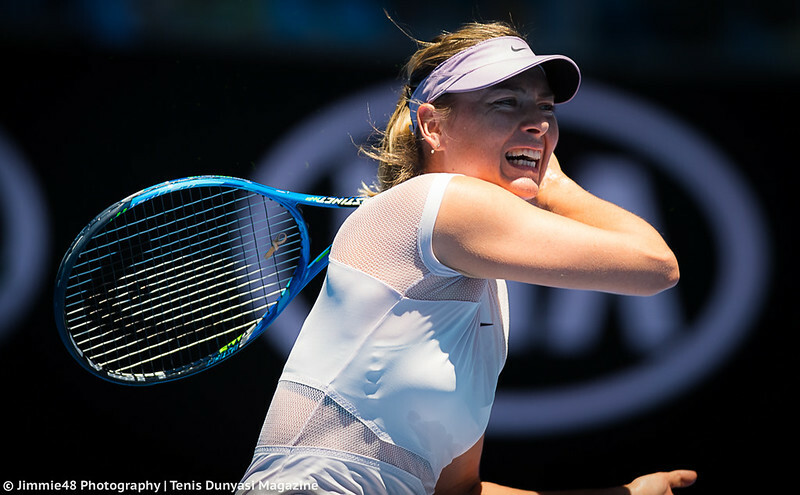 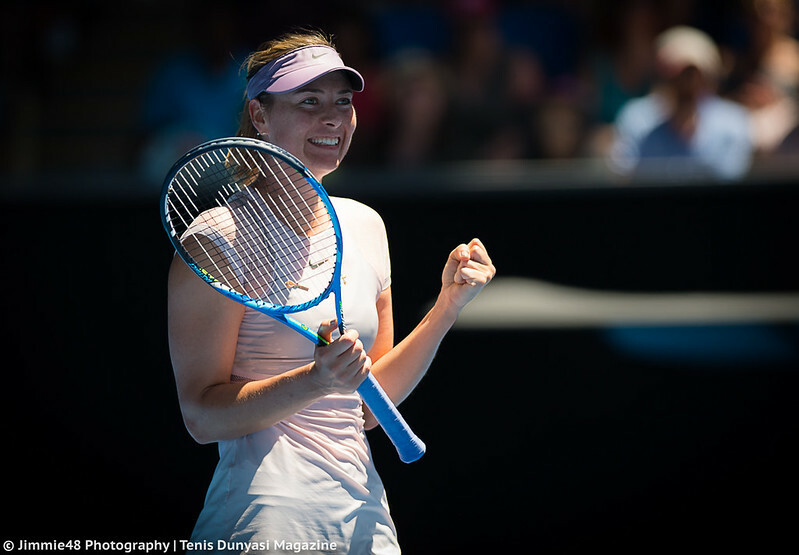 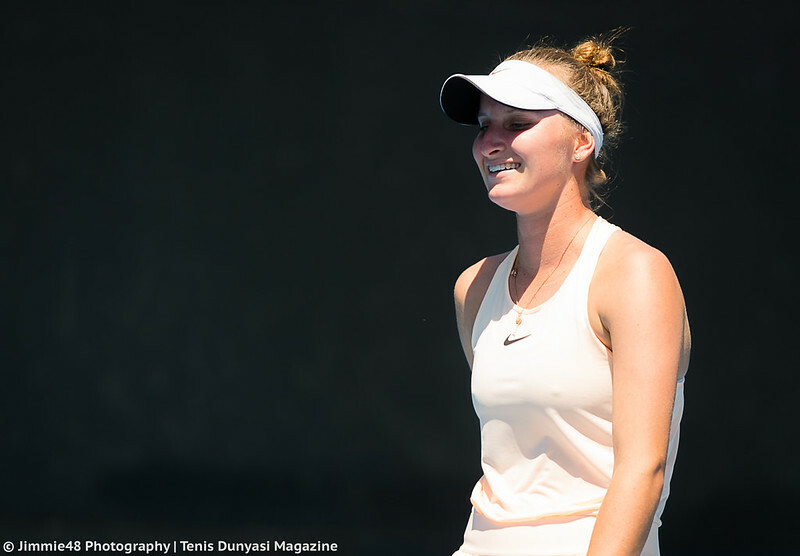 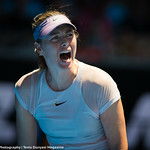 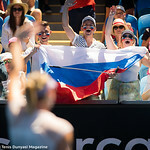 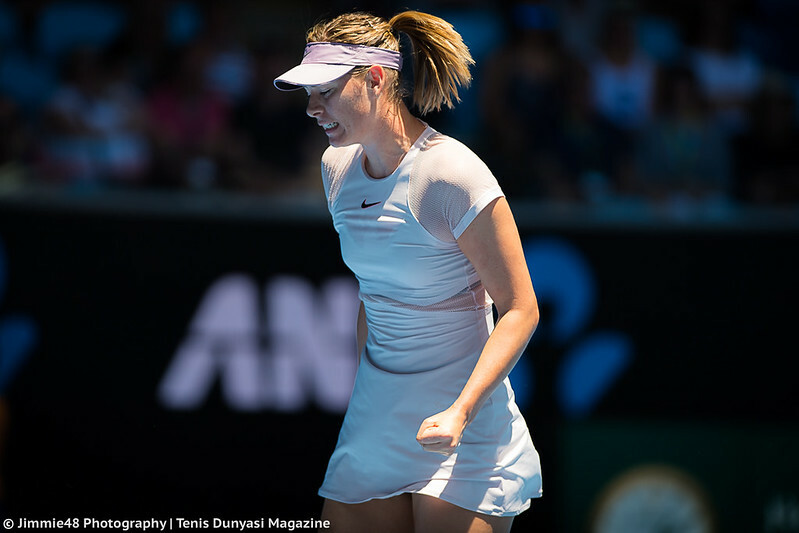 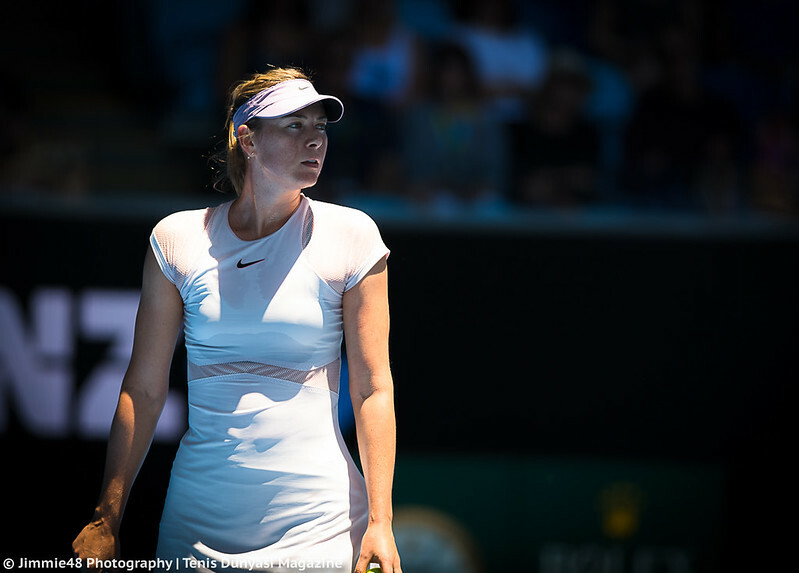 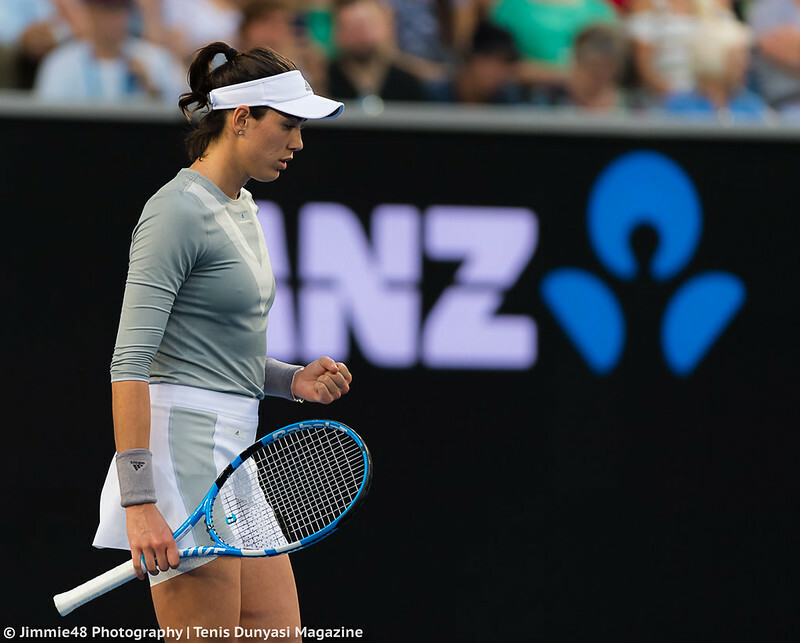 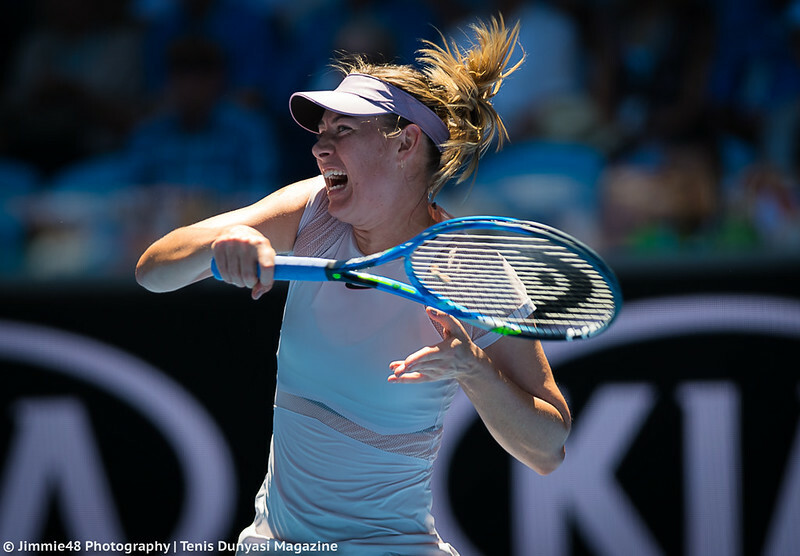 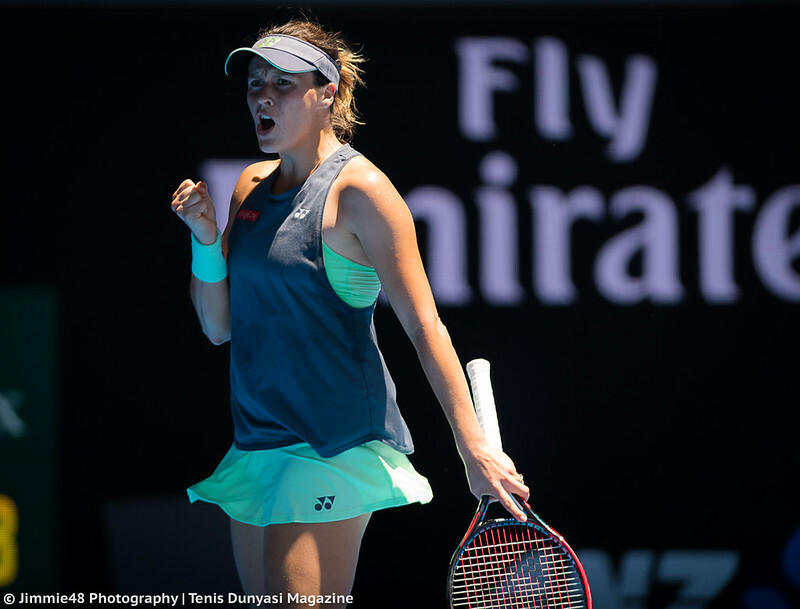 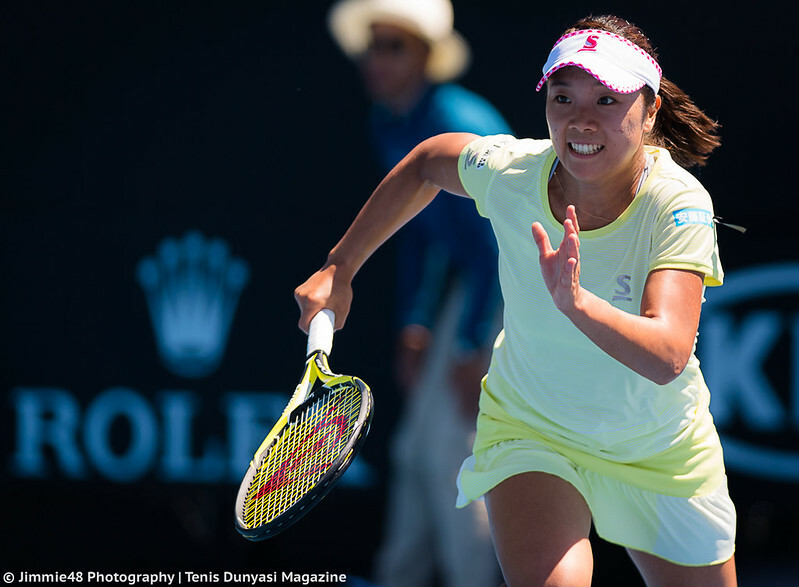 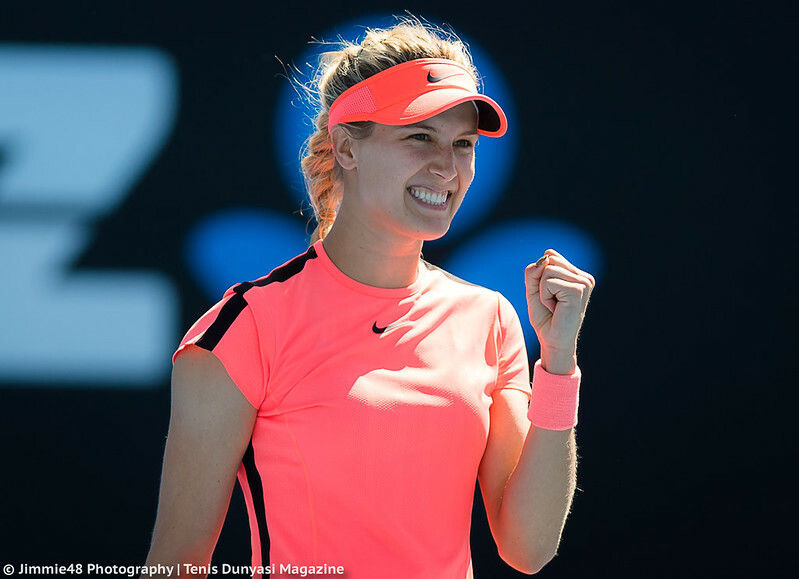 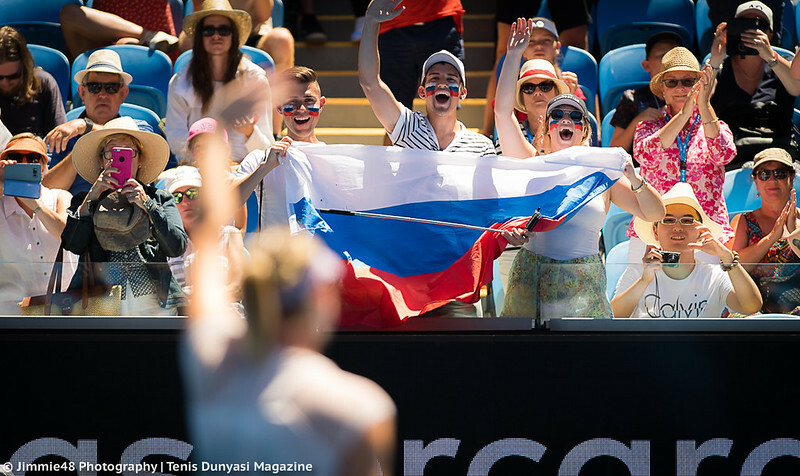 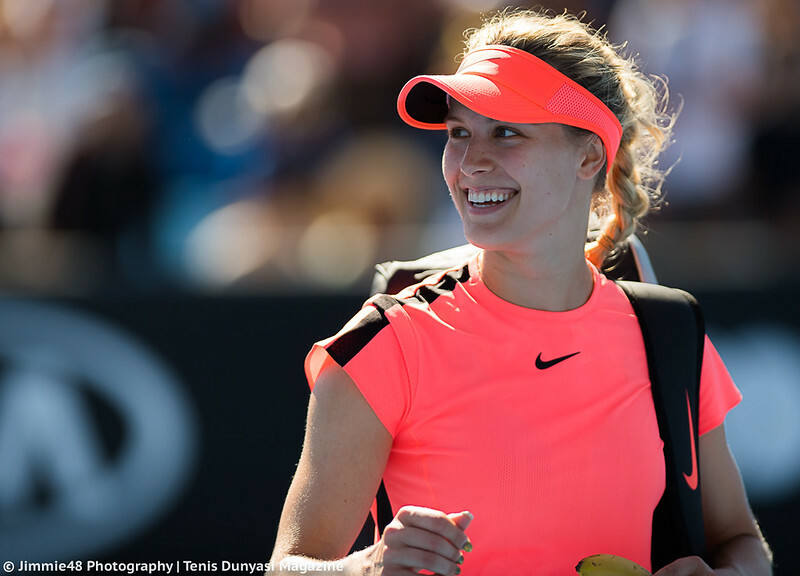 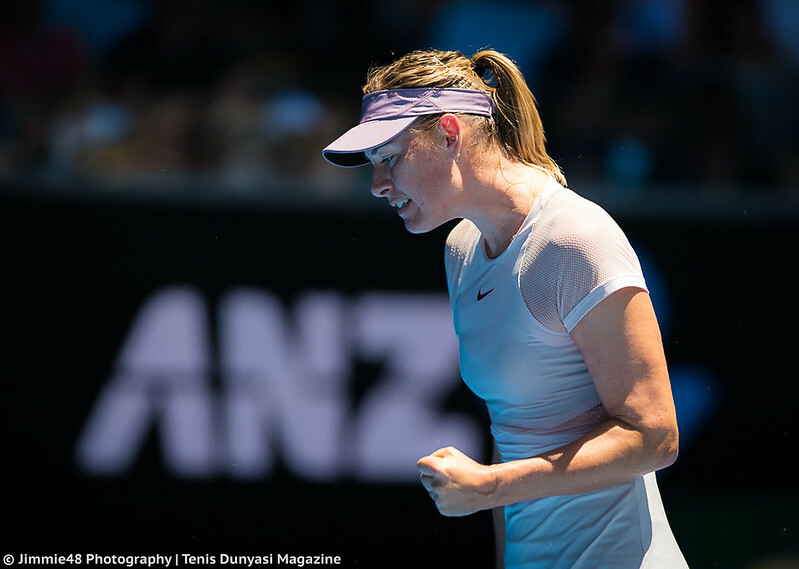 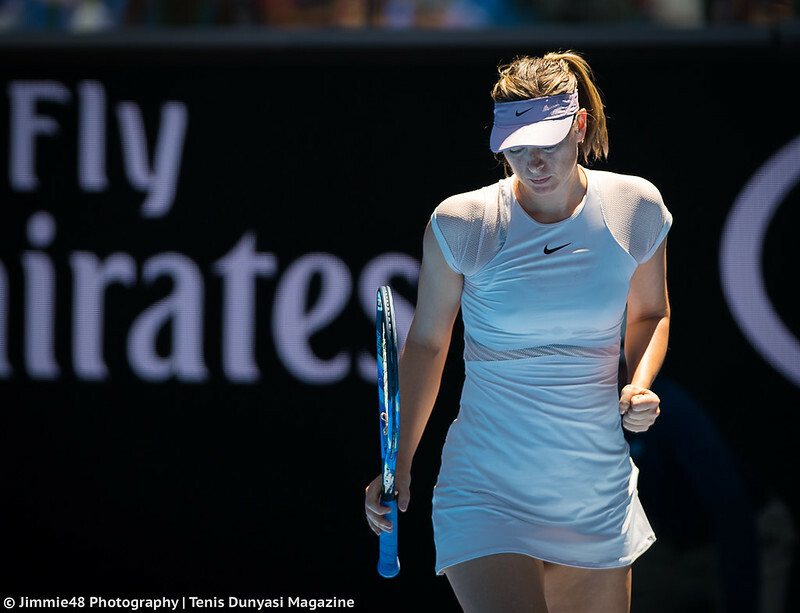 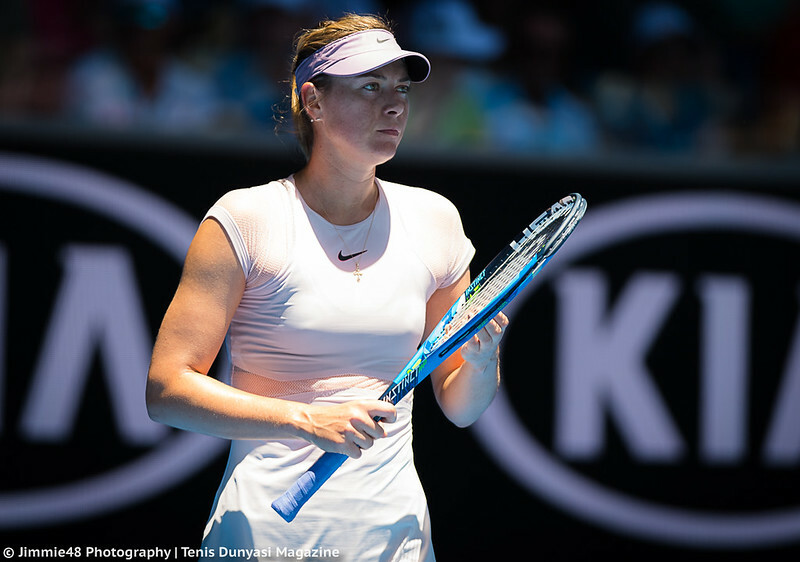 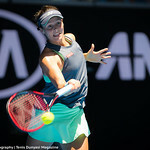 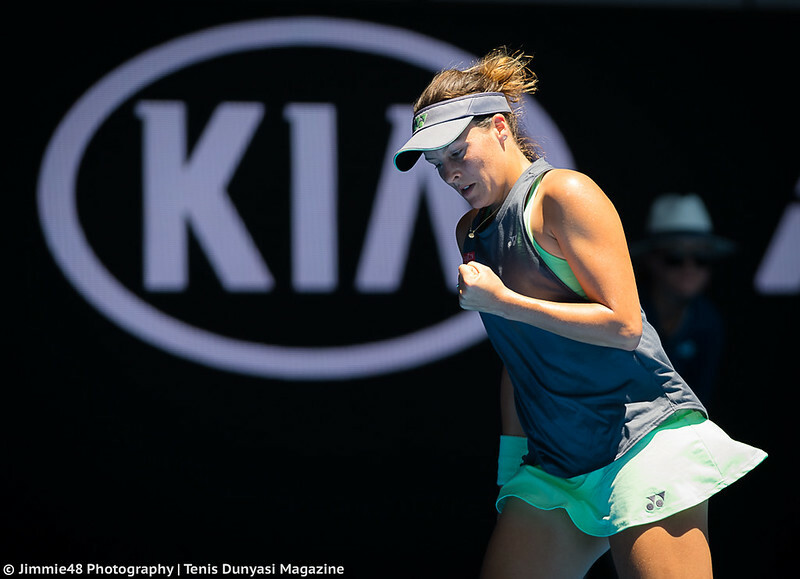 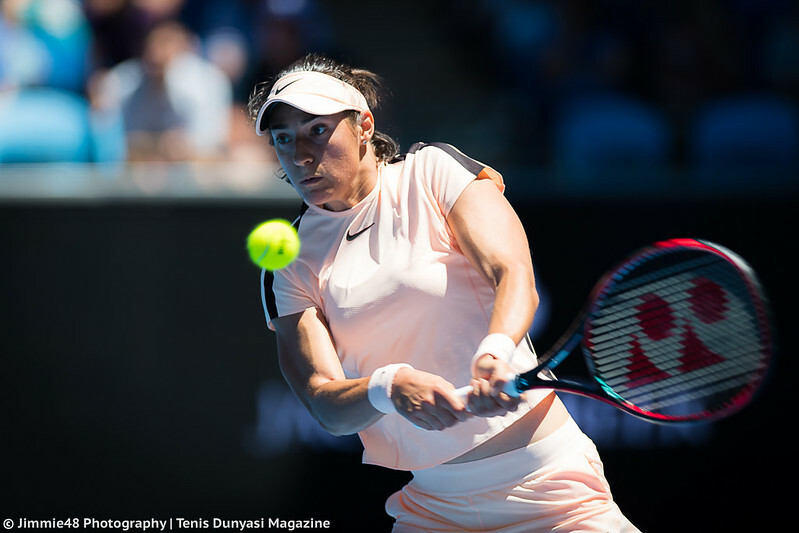 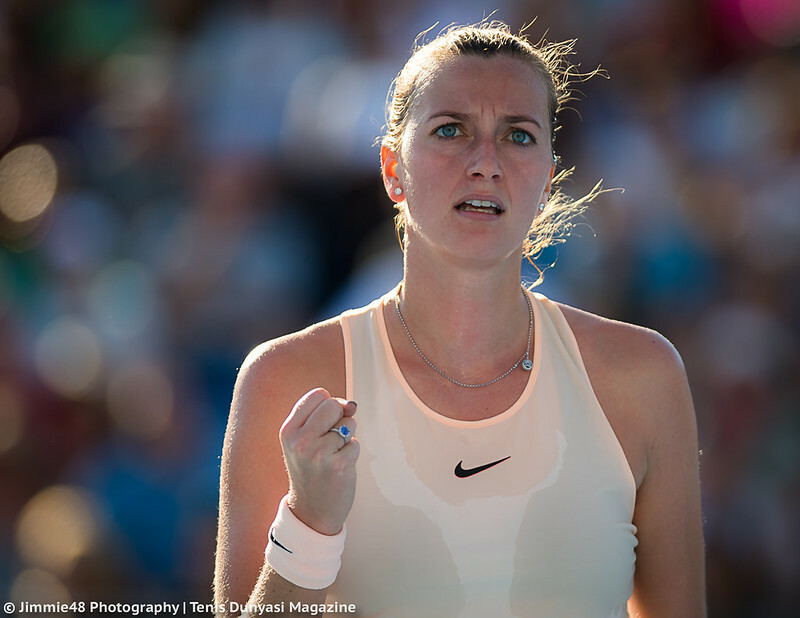 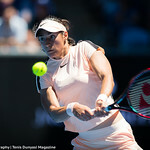 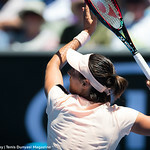 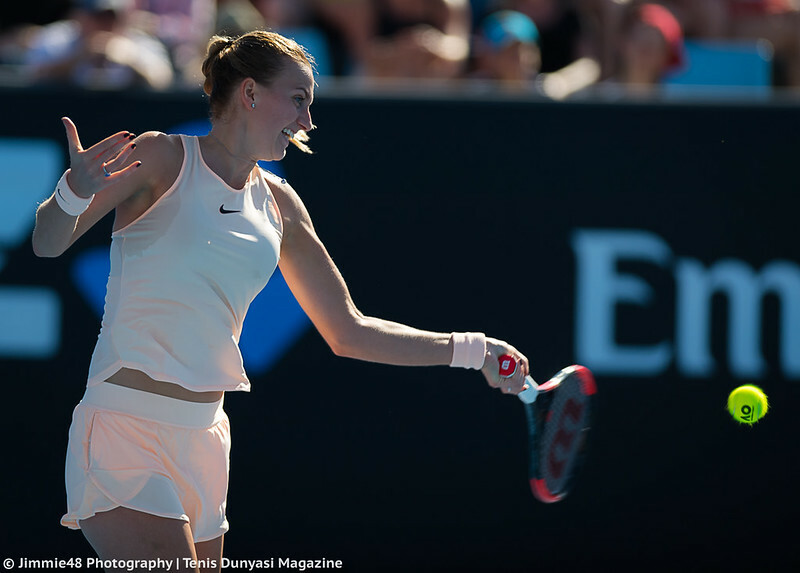 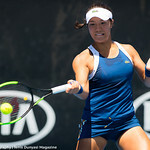 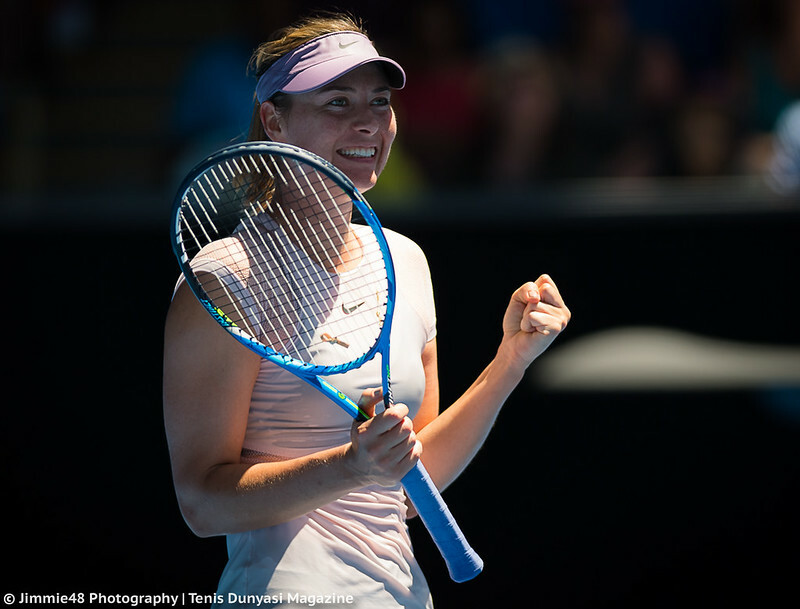 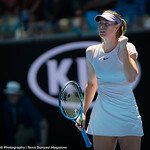 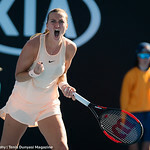 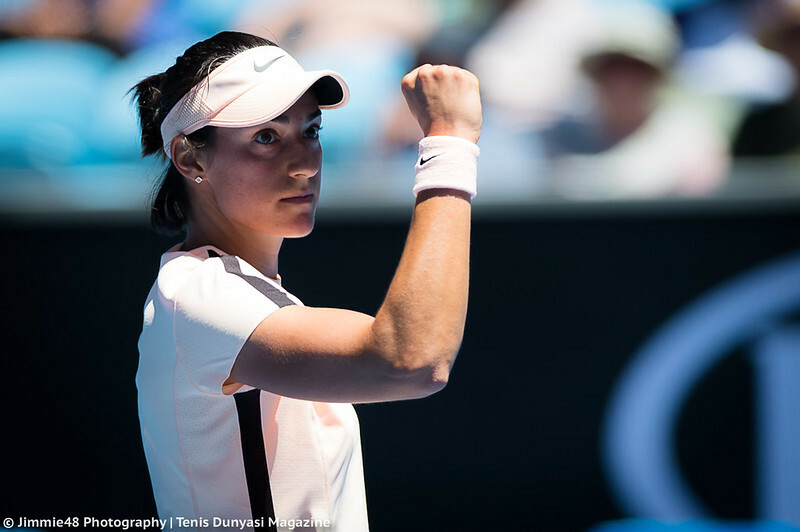 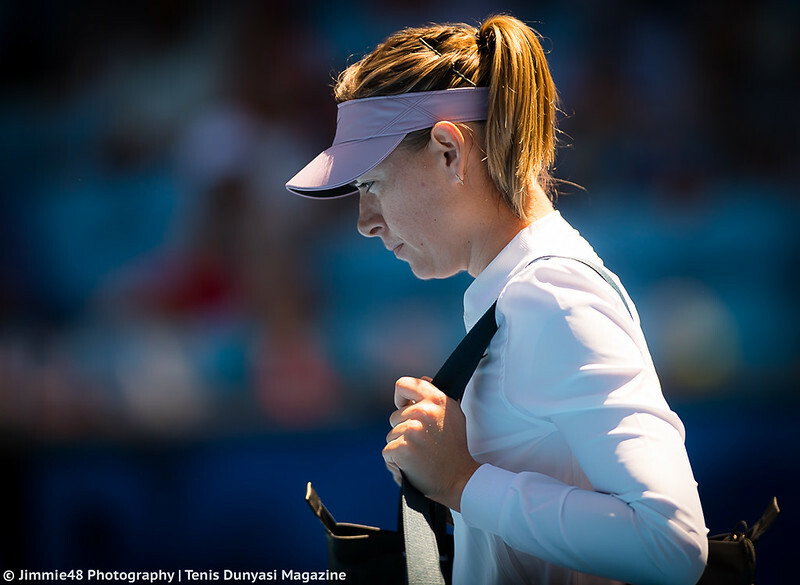 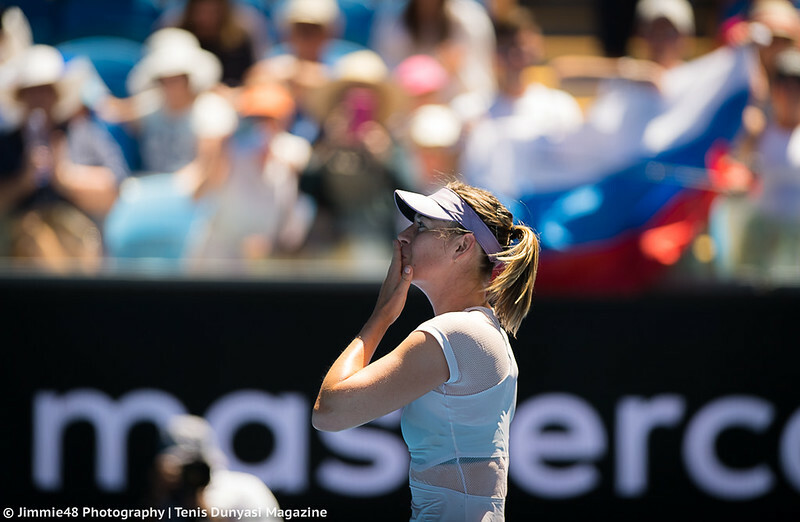 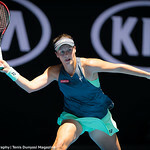 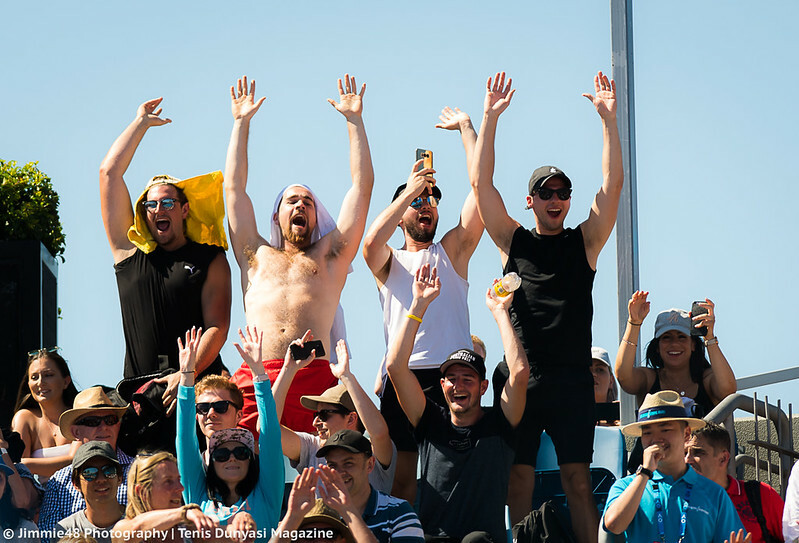 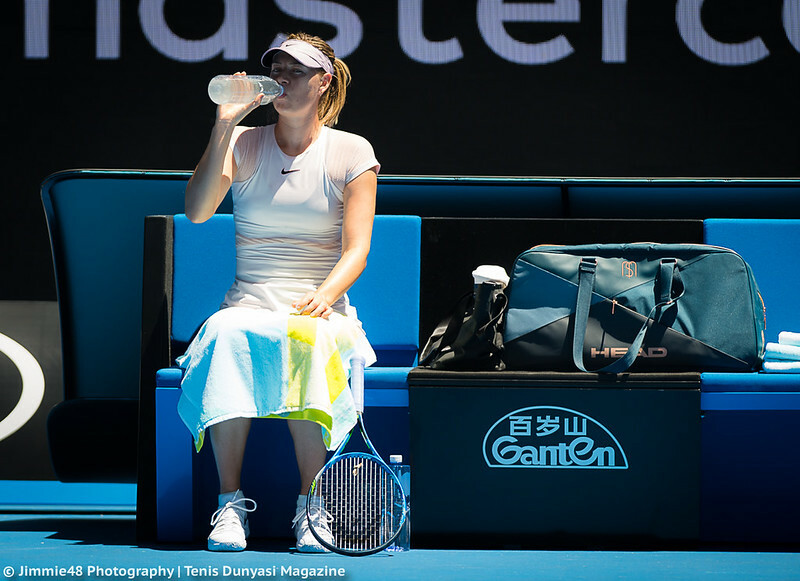 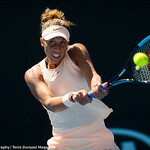 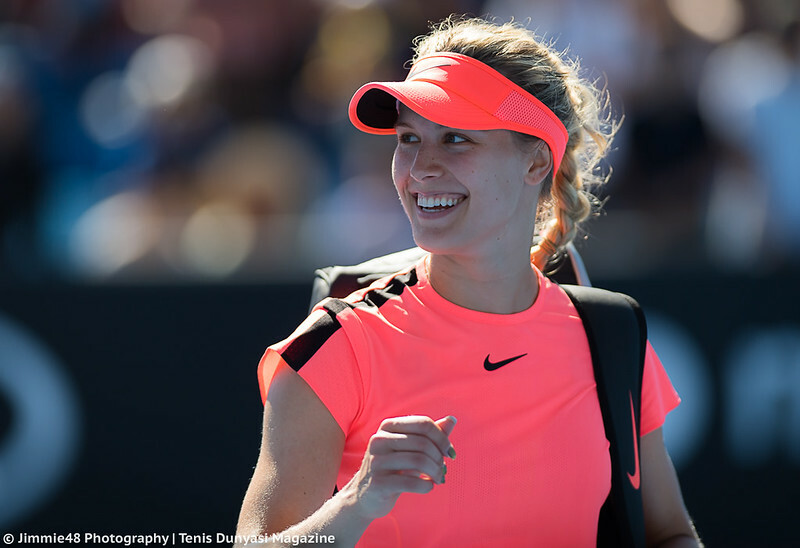 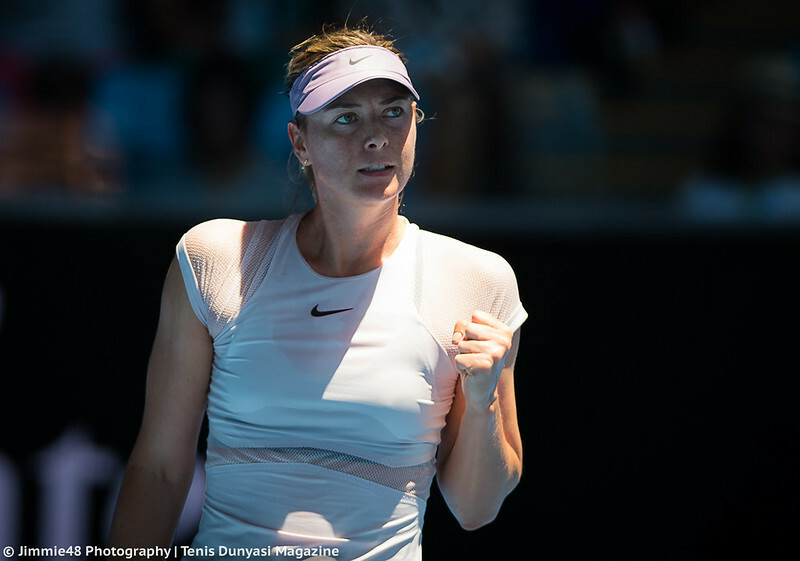 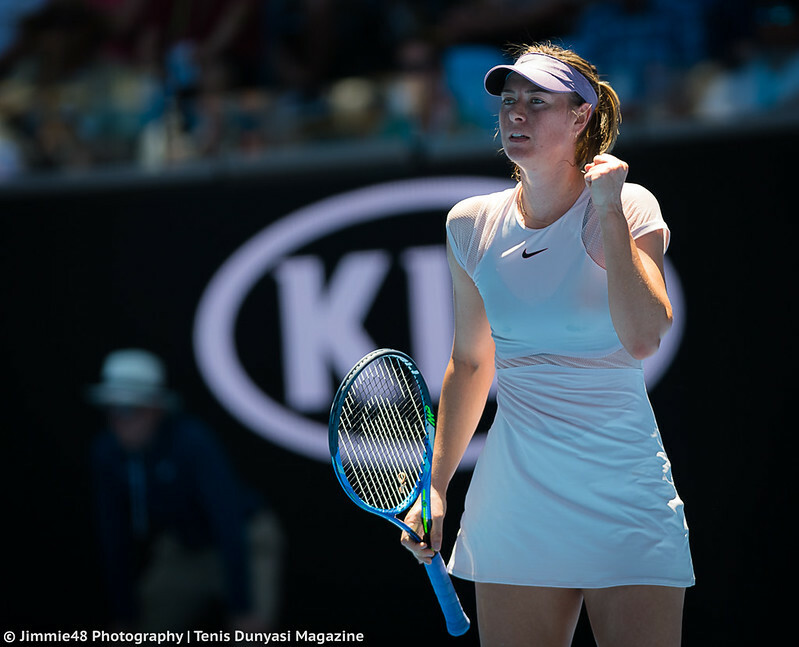 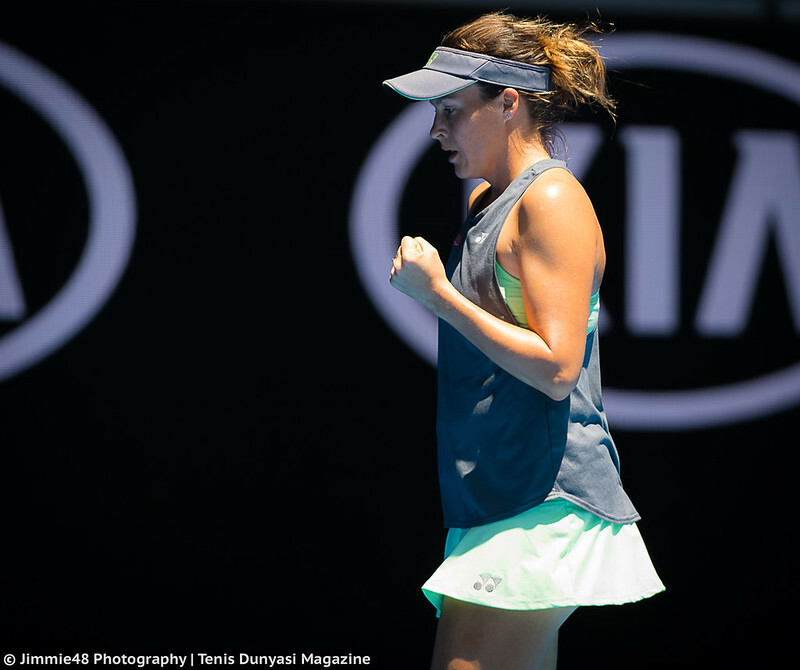 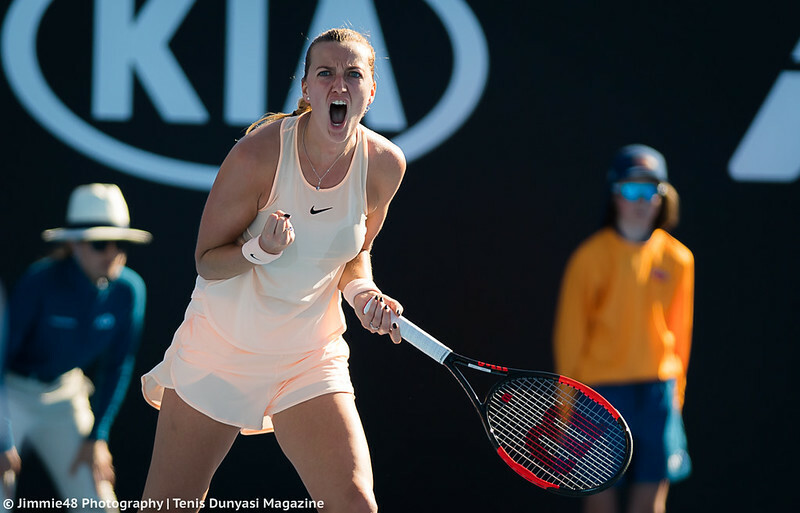 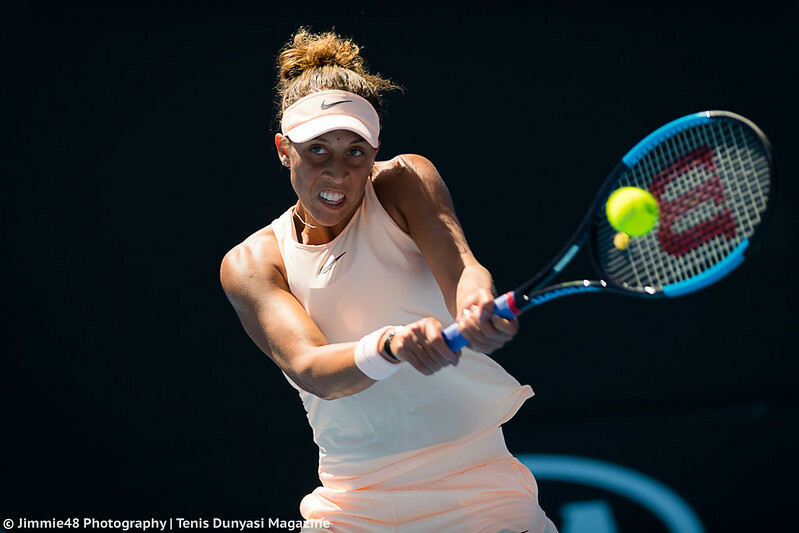 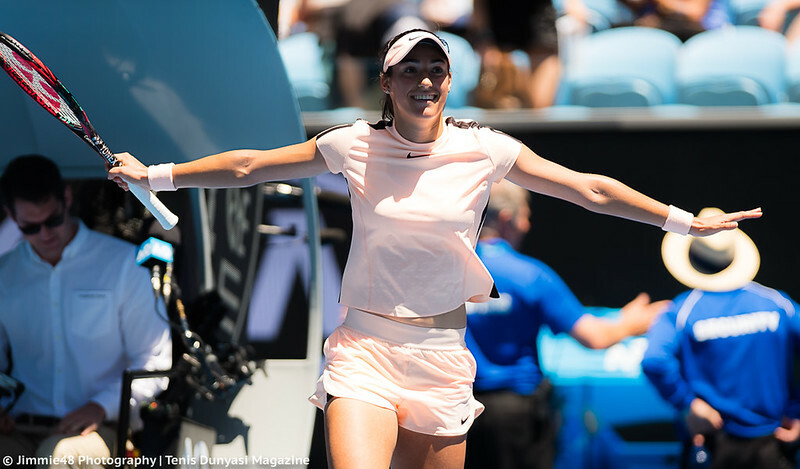 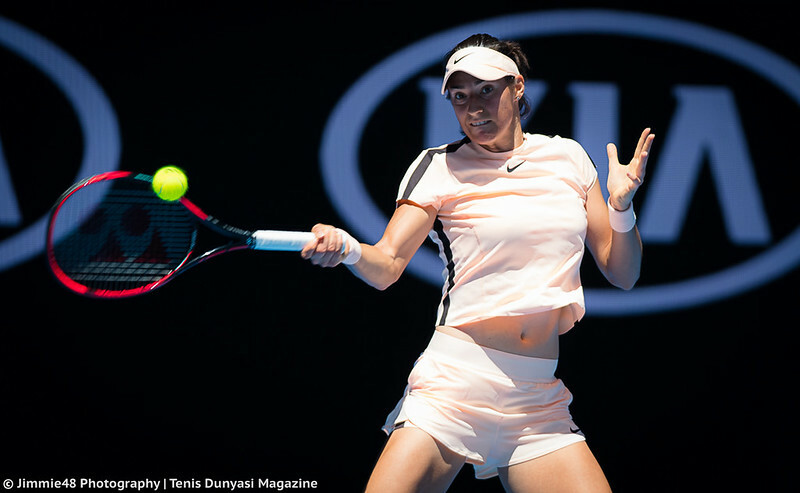 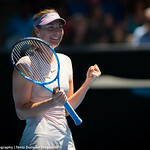 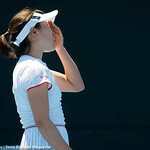 We also have plenty of photos from Maria Sharapova‘s victory over Tatjana Maria, that had a 6-1 6-4 result on the “Maria Sharapova” scoreboard, as well as pics of Tuesday’s winners Eugenie Bouchard, Caroline Garcia, Madison Keys, Karolina Pliskova, Garbine Muguruza, Agnieszka Radwanska, and more.